Is Compassion a Trustworthy Organization? Are You Being Duped? Working in the contact center, sponsors and donors call me and want to know if we — if Compassion — is trustworthy or if it’s a scam. These conversations are difficult because I cannot convince that person — through one phone call — to trust us, to trust Compassion. If someone has been “burned” before, they look for faults in everything — the letters from the child they sponsor, the pictures we send them, the way we use the funds we receive. I really don’t blame anyone for asking these questions. Were I on the other end of the phone, I’d be asking the same things. We, as Christians, are called to be good stewards of the resources God has given us. Here at Compassion, we are very passionate about ensuring we are. Internal and independent audits are regularly conducted for our offices in the field and here in Colorado Springs. Every financial process undergoes intensive and continual scrutiny to ensure that funds are properly received, tracked, and managed. We want our program to be effective, so we monitor the child development centers to make sure they are making a difference in the lives of the children we serve. Our goal is that the children in our program follow Jesus Christ in faith and deed, support themselves and share with others in need, are responsible members of their families, churches, communities and nations; and maintain their own physical well-being by the time they complete our Child Sponsorship Program. We have put measures in place to make sure that these goals are being accomplished. Is Compassion a trustworthy organization? Yes, I think so — but don’t just take my word for it. If you are a sponsor with Compassion and have thought about this before, I encourage you to check out Charity Navigator’s review of Compassion. What does it mean for an organization to “live with integrity”? Note from the Editor: Financial accountability is so important to us, we want to show you our books. See our 2017 Annual Report to see where your money goes. 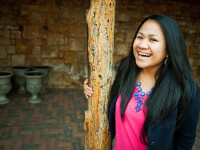 Shaina is a former team lead in the Compassion U.S. contact center. How Is My Money Used Each Month? Does Compassion Meet the UN Sustainable Development Goals? I just ran into this blog and found it frustrating. I understand people can be doubtful and in today’s society being a skeptic is almost a requirement, but some of these complaints are so overboard and vague. I do agree that the CEO salary is very high considering it is paid by donations; however, charitable organizations are typically rated on the percentage of donations that go directly to the cause of sponsorship vs. those that go to administration (which includes salaries). In that regard, Compassion does well. I have sponsored Compassion children for over 20 years. During that time, I have sponsored as many as 8 children at once. I am down to 6 for now… due to personal financial issues relating to medical expenses. I can say it has been a wonderful experience. I was involved in 2 children’s lives who grew up and left the Compassion program. I miss them, love them, and pray for them. It is an honor and blessing to be used in the lives of these children. The money for sponsorship goes so far in these countries… whereas, it would buy so little here in the U.S.
Organization should be investigated based on complaints. I will push for this through the FTC. Todd, I’m sorry to hear that you feel our organization should be investigated. Please know that we do regularly ask outside, non-biased watchdog organizations, such as Charity Navigators, to research us. If you have additional concerns, please email us at socialmedia@compassion.com, and we would be happy to answer any questions you may have. We look forward to earning your trust and proving our heart for serving our sponsors and children with excellence. Have a blessed day. I recently recieved a packet from a friend to spnsor a child. I am no longer interested in sponsoring this child after reviewing the site. $330,000 a year for CEO is too much. Missionaries do not make this amount of money. I will be searching for another charity. Karen, I am so sorry to hear that our CEO’s salary has deterred you from sponsoring and impacting the life of a child. Compassion’s 2016-2017 990 form shows our CEO, Santiago “Jimmy” Mellado’s reportable compensation from the ministry as $340,940 which is well below other ministries within this same field. We usually compare our CEO’s compensation to World Vision’s President, who has a reportable compensation from that organization as $466,685, because they are an organization of comparable size and mission. Our statement on stewardship says the following: “The ministry of Compassion belongs to the children, our Implementing Church Partners, our sponsors and donors, our Supporting Church Partners and ultimately to God. Therefore, we protect, develop, and deploy all of our resources (people, time, money, knowledge, reputation and materials) with great care and wisdom.” In order to develop quality staff at Compassion while at the same time managing our financial resources with great care and wisdom, we seek to offer competitive salaries for the various positions necessary to successfully execute Compassion’s mission statement. Also, please note that our leaders are faithful sponsors and donors as well, and personally and financially support the ministry. I do understand your desire to find another organization to sponsor through. Have you already sent in the sponsorship form to sponsor the child whose packet your friend gave you? If you have, we will have to wait for it to be processed before we can cancel your sponsorship. If you never sent it in, nothing further will need to be done. You can toss the packet as we will not need that back. I received word that my sponsored child/family is not receiving the monthly check I send. Secondly, the letters I have recently received from my sponsored child are no longer being written by him. This was immediately recognized by us. There have been multiple accounting problems with this charity. An investigation is forthcoming. Heather, this sounds very concerning. I am so sorry for the disappointments and to hear that you are now doubting our ministry. 🙁 Please email me at socialmedia@compassion.com with your sponsor number as I relish the chance to be able to research this situation and set it right. I would like to know if vaccines are a part of the health care that a sponsored child receives as a result of the funding? Hi Lee! Thank you for asking this question. I can tell this it is a subject that is important to you. Please email us at socialmedia@compassion.com, and we would be happy to answer this and any other questions you may have there. Your CEO makes over $330,000 a year. Whereas other comparable charities CEOs make $80,000. And are rated higher from ministry watch. This is disheartening. I definitely feel duped. EG, I am so sorry that you have felt duped and have concerns about Compassion’s use of funds because of the salary our CEO makes per year. Compassion’s 2015-2016 990 form shows our CEO, Santiago “Jimmy” Mellado’s reportable compensation from the ministry as $330,313 which is actually well below other ministries within this same field. I have included a link to the 990 form posted on our website here: https://www.compassion.com/multimedia/2015-2016-form-990-compassion-international.pdf. This is from the time period of Jun 1, 2015 through June 30,2016. We usually compare our CEO’s compensation to World Vision’s President, who has a reportable compensation from that organization as $447,500, because they are an organization of comparable size and mission. Our statement on stewardship says the following: “The ministry of Compassion belongs to the children, our Implementing Church Partners, our sponsors and donors, our Supporting Church Partners and ultimately to God. Therefore, we protect, develop, and deploy all of our resources (people, time, money, knowledge, reputation and materials) with great care and wisdom.” In order to develop quality staff at Compassion while at the same time managing our financial resources with great care and wisdom, we seek to offer competitive salaries for the various positions necessary to successfully execute Compassion’s mission statement. Also, please note that our leaders are faithful sponsors and donors as well, and personally and financially support the ministry. You can visit our website at https://www.compassion.com/about/financial.htm and view our tax documents that lists the specific information on our Upper management and Board of Directors salaries. I’m sorry Sarah, I understand your position as you are an employee there, but I agree with Marci that from the Bible perspective, $330K/yr is huge amount of donations towards one person’s salary. it is hard to imagine how you can justify for yourself this type of salary in a Christian mission organization (which unfortunately became a business enterprise). I have been sponsoring a child from Rwanda now since 2007. She was 12 at the time so that would make her 22 now. I just received a letter from her and it looks very much like all the letters from the past 10 years (the same very generic details anyone could write) but it said she is currently in grade 5. Huh???? At 22? Now I realize the school system might be different but it’s kind of strange that a 22 year old would be in grade 5. Either I’m sponsoring a “fake” child or someone in admin messed up. I expect an explanation soon or I’ll be cancelling. I have the same concerns. My child was in the 4th grade 5 years ago. I just received a letter stating he’s now in the sixth grade. Now the doubt creeps in……. Sorry for such a disappointment. However, there is a problem with how countries grade academic levels. This child might be in high school whereby in east Africa we say Senior five (S.5) yet in the USA and other Countries it would be High School. But it could be that your child might have been mentally challenged and for the child’s privacy and dignity, the Field Office didn’t wish to convey such information to you. I personally have been working in one of the field Offices in Uganda and do attest that Compassion International is highly credible, transparent and 99% genuine. 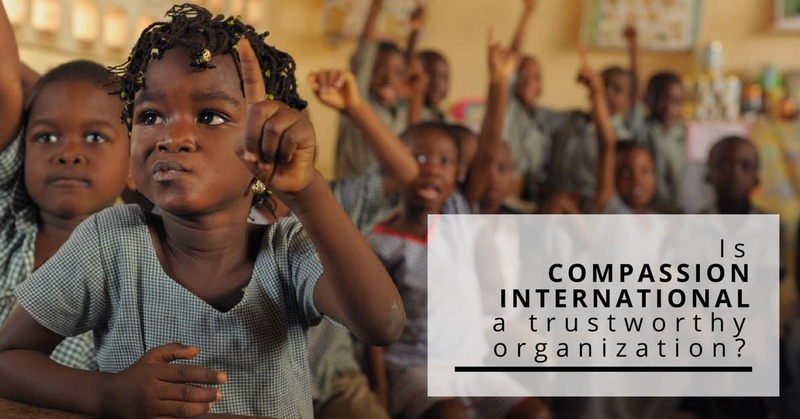 Protecting children and the sponsors’ resource is enthrined in the high level integrity as a Compassion International pillar. For the case of Lisa, the said child is supposed to be leaving the program if she is 22 years of age. I suppose the ICP where she attends the Program must have given her livelihood skills for survival if she really is in grade 5. Before you cauncel your sponsorship which is already at graduation level (you have completed your sponsorship with the child and she is supposed to leave the program at 22 years), get to know the whole truth about your child. The rationale provided continues to promote doubt this is a scam as the response has a misspelled word. I will opt out as a donor, however I pray the best is served with the donations received from my family members. Lisa, I am deeply sorry for the concerns you have that have caused you to doubt the integrity of Compassion. Regrettably, there are scam organizations out there and they have made it very difficult for organizations that are legitimately doing good work. For this reason, I encourage donors of any organization to do their research. Yes, please do Google us and read reviews of what people are saying about Compassion International. Look at what watchdog organizations, like Charity Navigators, say about Compassion. Go look at our financial records which are posted publicly on our website. Read the research that was done by a third-party researcher about the effectiveness of our program. If you can, travel to see what we do firsthand and meet your child. Please do research us and prayerfully consider whether this is the organization you are called to give to. We are so grateful that you responded to God tugging at your heart to sponsor Uwimana Josiane 10 years ago. I hear your heart for this ministry and your desire to foster a relationship with your sweet girl. Please know that our desire is for every sponsor to have an opportunity to develop a meaningful relationship with their child. While Josiane is indeed writing her own letters to you, she may still feel timid or have a lack of confidence when it comes to writing. Please rest assured that Josiane is the one who receives your letters and answers them. However, many times the tutors will write down ideas on a board to write to their sponsors on letter writing day. If Josiane is unsure of what to write, then she may choose to write what the tutor is recommending, and this may result in letters sounding the same. Here are a couple of my favorite blogs talking about Why Do My Sponsored Child’s Letters Seem So Impersonal and What to Expect from Your Child’s Letters that may be more helpful for you :). Many children are behind in their schooling because their parents could not afford to send them to school. Therefore, it is common to see older children in younger grade levels. However, what Josiane has said in her letter does not align with the information we have in her child profile. Her profile states that she is currently in the US equivalent to 9th grade. Because of this difference, I am sending an inquiry to our field office is Rwanda. Our wonderful field staff there will confirm what her actual grade level is and why she may have said a different grade in her letter to you. This may have been a misunderstanding during the translation of her letter, but we will be sure to clear this up for you :). We will be in contact with you as soon as we receive a response within 6-8 weeks. I cannot express how sorry I am to hear of the doubts you have about Compassion and whether your one-to-one sponsorship of Josiane is real. We sincerely look forward to earning your trust and proving our hearts for serving our sponsors and children with excellence. My husband and I sponsor 2 children. From one, we received 2 letters 3 months apart. Exact same letter, writing, and drawing, apparently “from” our sponsored child. I thought it was odd, exactly the same? I held the letters together, and placed the drawing side up to a window for light to come through, and there was not one deviation in any part of the drawing, from one drawing to the other. I’m questioning the validity of all of this now because not even the most renowned artists can draw the exact same thing, with the exact same dimensions, without deviation at all. They say these letters are from our sponsored child, but with what I received, that’s not possible. Not one mark, from writing, to drawing, was even the slightest bit off. How is this possible? Mrs. Johnston, I am deeply sorry to hear of your concerns about receiving the same letter twice from one of your sweet children :(. I completely understand how that would seem strange, and I apologize for this mistake. It’s very possible that we accidentally sent you the same letter twice. You may be aware of the many system updates we have recently undergone, and one of the largest updates has been with the way child letters are processed and delivered. Please know that our hearts for these changes have been to make it easier to communicate more frequently with your children because we have received overwhelming feedback from the many children in our programs about how priceless and cherished your letters are. One way we have increased the speed of letters is by having the letters scanned and sent electronically between the United States and the countries we work in instead of air mailed. Once the letters are received, they are printed out as a high quality print. This has been very successful so far! However, regrettably, these system updates have not been without some bumps along the way. Therefore, it is very possible that we have accidentally printed out the same child’s letter twice and sent it to you a second time, especially since they are identical. I cannot express how sorry I am to hear of the doubts you have about Compassion and whether your one-to-one sponsorship of Andrew and Yasmine is real. Please rest assured that every letter from your sweet children is written by them directly or they are assisted by their tutor. Please let us know if you have any additional questions or concerns. We sincerely look forward to earning your trust and proving our hearts for serving our sponsors and children with excellence. I haven’t even thought about not trusting Compassion, somehow I’ve always trusted God with this, but only God should get the credit for that. The only thing I’m struggling with now is that I have a sponsor child, Edith who I do not sponsor financially but through writing letters. Her sponsor has not written to her for unknown reasons, I don’t know him or her at all, so I can’t say, and so I have been asked to write. I understand that the delay in Edith’s response could be the technical difficulties or maybe even just from being very busy this year, but I worry that she maybe isn’t sure how to respond. She writes to me as if I’m the one fully sponsoring her, but I’m just not sure how to write because I just don’t know how sensitive I should be to the fact that someone else is supporting her financially while I am the one writing to her. How should I write to her? I have another sponsor child who I do sponsor fully, and so that has given me somewhat of a reference for how to interact through letters. But could I ever visit Edith? Or would that be something for her financial sponsor? Can I give Edith a financial gift? These are the only things I’ve been struggling with. Other than that, I love Compassion and the children and what God is doing through both? Kerith, we cannot express how grateful we are for your loving heart towards your sweet children. Thank you so much for taking on this crucial role as a correspondent for Edith! The correspondent role is a very important aspect of our ministry. Experience has shown us the power of a letter is tremendous, and for an impoverished child to know that someone from across the globe cares about them can make the difference that helps release that child from poverty. We assign correspondents for sponsors who do not have the time or desire to write, or sometimes a company may sponsor many children and simply cannot write to so many children. It is common for a younger child to believe that their correspondent is their sponsor, but as they grow up, they can understand the difference. Please rest assured that your child will feel loved and cared for regardless of whether you are their financial sponsor or their correspondent sponsor :). You may definitely visit a correspondent child and give financial gifts! Regrettably, there is no way to give a correspondent child gift through your online account yet, so if you ever want to give a gift, please feel welcome to contact us in any way, and we will be happy to help you. Your letters of love and support boost Edith’s spirit in ways that sponsorship alone cannot. Your letters of love and support give Edith the message that she has value, worth and is loved. They confirm that someone far away in the United States thinks she is valuable enough to write to and care for. Your letters and cards will make a major difference in her life! If you have any further questions or concerns, please let us know. We appreciate your support of this ministry to release children from poverty in Jesus’ name! I sponsored a child on Easter day and have not received any communication back yet. Its been over five weeks. I am concerned and placed a phone call today. At first the representative said there were computer issues but then seemed to indicate the child was already receiving aid or had previously. I was told to wait a few more weeks? Cheryl, I’m so sorry for the confusion about your sponsorship of sweet Lilibeth in Colombia. Please rest assured that Lilibeth is currently on hold specifically for you, and she will be placed on your account soon. Regrettably, our processing team is experiencing a significant backlog which has caused a delay in taking care of new sponsorships. I am deeply sorry for the time it is taking to place Lilibeth on your account. Our wonderfully hardworking processing team will ensure that Lilibeth is placed on your account as soon as possible. Thank you so much for your patience as I’m sure that you are excited to begin your relationship with your sweet girl. Thank you so much for choosing to bless her with your love and support! God bless you! My wife and I are traveling to the Philippines this year. We are about to sponsor a child because she grew up in the Philippines and I’ve traveled there many times. We want to visit the child we sponsor. Will Compassion give us an address so we can locate this child and take gifts to him and his family? Hi Todd! What a blessing that you want to partner with Compassion and sponsor a child in a country you are able to visit! We’d love to help you find a child to sponsor and coordinate a visit as well. The easiest way to find an available child in the Philippines is on our website: https://www.compassion.com/. Once you’ve sponsored the child, you can sign up for either a group sponsor tour going to the Philippines or an individual visit through our Tours and Visits page: https://www.compassion.com/newsponsor/visit.htm. We do need an eight week notice before you plan to visit the child so that we can do a background check and coordinate with the child’s center staff in planning the visit. Any detailed questions you have about visiting your child can be directed towards our Tours and Visits team by email at toursinfo@us.ci.org. I hope you find a child you’d like to sponsor and have a wonderful time meeting him or her! We too have questioned the letters we have received. We have a daughter who would like to be part of this experience and she, by name, is never mentioned in the letters received back from our sponsored child even though we talk about her and have sent pictures. It seems a sponsored child, who is closer in age to a sponsor’s own child (in our family) would be interested in her and write back about her or our dog, etc. and everything always mentions my husband and I and is rather generic. I understand he may be too young to write the letters himself and someone else is doing it for him, but I feel this is a huge miss as we have pulled her in…we want it to be real as it should be. Naturally, we are going to question who is writing the letters & hoping its not just done for show so we continue sponsorship. Kristin, I am deeply sorry to hear of your doubts and disappointment regarding your child’s letters :(. We are so grateful that you responded to God tugging at your heart to sponsor sweet Mugisha. I hear your heart for this ministry and your desire to foster a meaningful relationship with your sweet boy. Please know that our desire is for every sponsor to have this opportunity to develop a relationship with their child. Children under the age of 9 typically use our form letters because it is easier for them to understand the concept of writing and to fill in the blanks. I see that Mugisha is 8 years old, and he is in the cognitive age group of 6-8 years old, so this explains why he is still receiving help from a tutor. Sadly, many children feel timid or have a lack of confidence when it comes to writing. Some are also behind in their schooling because their parents could not afford to send them to school, so they cannot write on their own yet. Please rest assured that Mugisha is the one who receives your letters and answers your questions, and his tutor is simply writing down his answers. As Mugisha gets older, you will begin to see him write his own letters without the assistance of a tutor/mentor. You should also begin to see his letters become more personal as your relationship grows. Of course, there are many explanations as to why your questions may not be answered or why some letters seem generic, but there is a wonderful blog offering an explanation of why letters may seem impersonal. I cannot express how sorry I am to hear of the doubts you have about Compassion and whether your one-to-one sponsorship of Mugisha is real. We sincerely look forward to earning your trust and proving our hearts for serving our sponsors and children with excellence. I am confused too. I could understand if they were doing the letters themselves. But they have help with a tutor. Said tutor would be able to help them answer questions and make it more personal at any age when they are able to write. Does the tutor need a tutor? I am doing this with my grandson and he is writing to a boy there who writes a generic letter back to me only no questions answered. Hi Chrystie! I completely understand your desire for more personable and unique letters from your sweet boy in Bolivia. I’m so sorry to hear that your letters from him have been pretty similar and have not answered your questions :(. I understand that it can become discouraging to receive similar letters repeatedly. Please know that our wonderful, loving tutors do their absolute best to help each and every child write to their sponsor and answer their questions. When Jhunior receives your letters, he probably takes them home and puts them in a special place. He may not have them with him when he writes back, so he may not remember the questions you have asked. Therefore, it’s difficult for the tutors to help him answer questions without your letter there for reference, even though they do encourage the kiddos to bring their letters or remember what their sponsor wrote. Also, the tutors helping your child write his letters want to make sure his letters are authentic, and they don’t want to take away from what your child is actually saying by embellishing. This can result in letters sounding very similar or simple if your child is saying the same things. Please know that the tutors are all different people who are local community members, not experts, so letter writing may still be a foreign concept for them as well. If you have specific questions for him, I encourage you to continue asking them :). I suggest that you keep them simple, brief, and number and highlight each question. This will call attention to your questions. I encourage you to not become weary in your letter writing to your sweet boy, because all the love you are pouring into his life will certainly reap a harvest (Galatians 6:9)! Your letters say to Jhunior that he is worthy, loved, and known, and you are making a difference in his life even if that may not be apparent at this moment. Thank you so much for your heart for this ministry, and we are incredibly grateful that you have chosen to bless Jhunior with your love and support! I am from Kenya and am an alumni of the Compassion Sponsorship Program, I graduated from the program at the beginning of last year. And I can assure you we used to actually write the letters. My handwriting was terrible at first but then as the years progressed, my penmanship improved. God used Compassion International to change my life. Am sure there are many others with similar testimonies. If anyone doubts the heart of Compassion and wonders if it is a scam, I’d be happy to speak to them directly. I have sponsored a total of 11 children with Compassion. Two are now out of the program and we have another 2 that chose to leave the program on their own. Two more will be out of the program in June, 2017. We have personally visited 6 of our sponsored children and intend on visiting all of them at least once. We have a 3rd child graduating from a university in Rwanda this June and will be attending the celebration. While certainly not a perfect organization, Compassion’s heart is pure and its mission is pure. I just wanted to let you know that we would be happy to take a look at these letters that you are referencing, and if it does seem fishy, we would be happy to send an inquiry. Please let us know if you would like us to do this. Also please provide me with the child’s full name, or child number, and the dates of these letters. Thanks so much! I was told that with my money the child will receive food, clothing, education, and medical. On your site all it says is maybe supplemental food and learning about God. Do they actually get anything for my donation? Are these gifts tax deductible. Hi Theo! Yes, donations made to Compassion are tax deductible. I too was sceptical when I received my first generic letter from my sponsered child! The date on the letter is 3/09/16! I didn’t start sponsering my child until July! Why would it be dated March? It is a Xerox copy! I’m just not real sure! I don’t like the idea of speaking with someone on the phone n them telling me that if I send more than the recommended amount that it will still go to my child at Christmas, but I read on a paper that it will be devided among others. Hi Mindy, I’ve been a sponsor for three years and it is the best decision I have made. My child is in Peru and the first letters I received were original letters with drawings. I always receive a picture of my child with her gift from the extra money I sent for birthdays. I have recently started writing online to eliminate the paper. Why do we say I want to help the children, but don’t want to support the institution that makes all this happen. Without them we could not help the children. Mindy in other parts of the world (i.e. outside of the US) the date 3/09/16 actually means 3rd September 2016. Only in the US would this mean 9 March. Hey Mindy, as a long time sponsor i may be able to help you from a sponsor stand point. When the kids first get into the program they often write a first letter that is then held to send out to their sponsor once they get one. We all have that weird first letter. And you’re right, it’s a scanned copy! This is a recent change that most of the sponsors hate. You can opt into getting the original as i have but who knows when you might receive it as everything involving the mail system with compassion seems to be messed up right now. Prior to this change you could get letters every few months. Sometimes they are vague and sometimes they are very informative. It all depends on how old your child is and who if anyone helped them to write the letter that day. I believe the CI blogger answered your question about Christmas giving. I can’t afford to give more but i always try to give money for each of my kids. I don’t feel like it should be someone else’s burden to do so. I like that every kid gets a gift and the only way this is possible is for all of the money to be pooled together. I really dislike the whole new mail system but Compassion is completely legitimate. They seem to have been just cutting costs lately which have impacted us negatively. I would give it some time and re-evaluate how you feel on the issue. Mindy, I am so sorry for the confusion and frustration in regards to the letters from your child and your experience with our representatives. I encourage any donor to research where they are giving, because regrettably there are scammers out there. Please Google us and see what people are saying about us, check out what watchdog organizations say about us, read the third party research on the integrity and efficacy of our program, if you are able, visit your child and see where your money is going first hand. In many countries, the day is listed first and the month second. This means that your letter was written on September 3 and not March 9, which would make sense as a first letter if you started in July. Please see our other post about our new letter guidelines and why we are scanning, sending letters digitally, and printing them on the other end. Letters are important. We want to use the technology available to be able to send letters with quality and efficiency. You are exactly correct that we combine all Christmas gifts and distribute them equally among all of the children in our programs. This is the only gift that we handle this way. We do this so that no child is left out at Christmas. This means that with your donation (should you choose to give), we will purchase a gift for your child, gifts for children whose sponsors can’t give, and children who aren’t yet sponsored. Your child will be told the gift is from you and will receive it at a special Christmas celebration. That said, at any time of the year (including at Christmas), you are welcome to send a child or family gift that would be specific for your child and will not be split up. Please do let us know if you have any further questions or concerns. We take integrity very seriously here at Compassion and we are happy to answer any questions you have. I am not being simply verbally courteous to say I love this organization called Compassion International. I have been aware all of my life of the conditions in which some children throughout the world find themselves in, and this organization gave me the means to pick one child and tell them I love them and care about them with my entire being, and back up those words by means of prayer and financial assistance. Please dont let translation issues or logistical issues beyond anyone’s control rob you of the joy of choosing to love and assist a child in the Name of Jesus. MJ, thank you so much for the kind and encouraging words! You are such a blessing to your sweet sponsored child and I appreciate what you do for her and for the Lord! I love your comment Elizabeth and totally agree with you! We have been given an amazing privilege to be a part of these children’s lives. I have no doubt my money donated is being used. I do have doubts that the children we sponsor receive our letters as the translated letters from them never indicate this, but appear to be generic translations written by adults. This is so disappointing. I thought over the last couple of years, this would change, but I just received a letter dated 9/4/16 and it is the same information I have received many times with no true update on Amele. I am concerned as well with the letters we receive. They are generic. It use to not be that way as I had a conversation in my letters with one of my sponsors mother a couple years ago. Something has happened now it’s the same thing every time I ask questions and it seems the letters are exactly the same as the last There is no emotion in them I have 4 sponsored children and I miss the letters I use to get where they were responsive and you were carrying on a conversation To me it’s all about the relationship with my child and them knowing Jesus. Liza, I am so sorry that your childrens’ letters no longer seem genuine and that they are vague. Honestly, I can’t explain why your letters in particular are not satisfactory because I don’t know what’s going on in the lives of your sponsored kiddos. I do know that some sponsors receive a lot of information in their child’s letters and they have a wonderful correspondent relationship with their child. However, other children don’t have any interest in writing to their sponsor, or they do when they’re younger but then lose interest as they become older. That could be because so many of the children in our program begin working as young teenagers. I posted a link at the end of this comment for a blog post about this same issue. Of course, there are so many factors that could explain why your letters seem impersonal and we couldn’t possibly include every scenario in that blog post. However, I just want to encourage you to keep writing to your kiddos. They may not know how to express themselves to you in a letter, but you never know how impactful your letters are to them. Hi Michelle! I am so sorry that you have doubts and you are disappointed with the letters from Amele. I see that you emailed us and contacted a representative yesterday after posting this comment. Please let me know if you did not receive that email or if you have any other questions at this time. Thank you! Like others who have commented here, it seems my letters to my girls are “backing up” or sitting in translation for a long time. I called again today to inquire about my little Lydia’s letter, which has said “in translation” to me since 6-2. The phone representative put me on hold for awhile to try and help me and said that hopefully I will have access to that letter sometime next week. This is actually a letter I’ve been waiting on (hopefully it’s the one) regarding a family $ gift I sent last October. On my list of “conversations” with Lydia, my letters to her are backed up “in translation” all the way from April. I’m wondering if she has possibly actually received the April letter but it’s just not showing up that way in the account information. This new system seems more complicated than it might originally have been planned. Might it be better for those of us who are very keen on writing to our children to cut back on our letters for awhile to ease the burden of getting this new system ironed out? I have written 2 letters in a month at times and they are just backing up. Would it be better to hold our letters to one every couple of months until Compassion gets the system better underway? Karen, we have run across more issues with the new letter translation and processing system than we had anticipated. This has caused letters to “sit” in translation as we work through these issues. That said, we are working hard to work through the backlog of letters and make sure they are delivered very soon. I would be happy to check on the thank you letter for the gift you had sent last October. Was this for Christina or Adele? Yes, I believe that would be helpful to hold off on letters to allow for our staff to get through the backlog of letters before sending more. Thank you for offering to do that! That is so sweet of you! I want to double check on something. As I understand it, part of our sponsorship money goes toward our sponsored child going to school in the area as well as being able to visit the center, right? Both my children have indicated that they visit the center once a week (4 times a month). This isn’t the only time they get schooling from the sponsorship funds, correct? The center visits are in addition to their being able to attend school? Hi Lisa! I am so sorry for the confusion about schooling for the children. Compassion does not provide formal schooling for our children. Many children may attend local public schools. 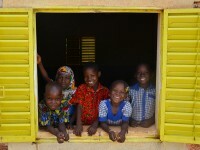 When needed, part of the $38 for sponsorship may go toward paying for the child’s school fees such as books or uniforms. The children do attend the Compassion child development center for a variety of activities, but they go to school the same number of hours and days as every other child at their school does :). The Compassion development centers often help enhance what the child is learning in school and they focuses on the most important areas of growth while promoting life skills. Their attendance at the center is in addition to their schooling, it does not replace it. Thanks for asking such a great question! To whom in may concern, I am trying to be patient and to understand that the new system of letter sending/receiving has changed, but I am pretty worried. I have not had any letters from either of my two sponsored children since their Christmas letters (and it’s now August) and they were writing me pretty frequently. I can only hope they are well and that they are truly getting the letters I am writing and the gifts I am sending them, but this is hard to know as well because the letters I write online are “in translation” for so long. I think I was able to get one last letter in before the system changed and now every online letter I’ve written since then is still “in translation”. I would request, too, if possible, that the in translation letters still be made available for viewing, as they were before the system change. With months in between being able to view letters, it is sometimes difficult to remember what you have and haven’t shared with your children. Also, is there an age at which children are encouraged to write freely rather than only answering the questions on the formatted letters to sponsors? I’d dearly love to learn more than the basics about my children, whom I have been sponsoring for awhile. Is there some addition to the system that could be added to let sponsors know that a letter is in translation (on the way) to us as well? I’m in the exact same position Lisa. I haven’t heard from my child for almost 10 months! I’m becoming concerned, and it would be nice to know if she’s okay or if it’s just the letter writing change that’s the problem. I contacted CI for an inquiry by live chat yesterday. When the person came on she said it showed I got a letter in January, but I never did. Her reply, it may have gotten lost in the mail. I asked how long until I heard back from the inquiry and she said, someone will contact you as soon as we hear something. Glad to read the comment below that at least tells me 6-8 weeks. It is hard to write letter after letter and never hear back. I never dreamed the changes would have problems this long. Not exactly speeding up the process as they predicted. Trying to have more patience, and most of all I pray my little Pamela is safe and sound. Hoping things improve for every sponsor soon. I too, am in a similar position. I began a sponsorship in March 2016. I have written two letters to my child, sent a monetary birthday gift, and have not recieved one letter back. It is now August. So naturally I am questioning if my child has received anything. It is quite discouraging, to say the least. I am now considering dropping the sponsorship. Donna, I am so sorry that you have waited so long for a letter from Juliano and that it has caused you to consider canceling your sponsorship of him. Please rest assured that he received the first letter that you sent in early April. We updated our system in April and have seen a slow down of letters as we work through the kinks in the new system. Your second letter is still being translated as a result of these kinks in the new system, but I can tell you that your letter is on its way to Juliano. Since it takes about two to three months for gifts to be wired and delivered, Juliano likely just received the birthday gift in mid July. He will then write a thank you letter back to you and you will likely receive it in the next few months. In addition, I just sent an inquiry to request that he writes back to you as soon as possible. Mona, I am so sorry you have waited so long for another letter from Pamela. We sent an inquiry last week to make sure everything is alright with Pamela and ask her to write back as soon as possible. Yes, the time frame is typically around forty-five days but we will let you know just as soon as we hear back. Thank you so much for your patience and grace with us through this transition process. Hi Lisa! Thank you so much for the grace and patience you have extended to your Compassion family during this trying transition to our new letter system. This transition has been difficult for everyone, and I know it is hard to hang in there! Did you receive these Christmas letters from Kayivi and Inoussa in February? I am able to send inquiries when it has been longer than six months since you last heard from your children. If you received letters in February, I can send inquiries for you this month to check on both of them. Inoussa’s last letter was processed on February 5, so I will set a calendar alert to send his inquiry tomorrow. Kayivi’s letter was processed on February 16, so my calendar will alert me to send an inquiry for her on August 16. It takes between six and eight weeks for us to hear back from the country offices regarding inquiries, but I will contact you immediately when we have the results back and letters from your precious kiddos. There is a backlog of letters in the countries that we are working to get translated and delivered to both the children and the sponsors. I absolutely feel for you and understand how hard it is to not hear anything in such a long amount of time. Letters are still taking up to two or three months to be processed and delivered, but they will bring such encouragement to your children’s lives when they do arrive. The system won’t allow us to view the letters that are currently in translation, but they will show up on your account as soon as they are complete. However, any letter you write online should automatically send a confirmation email with the text of your letter included as soon as you submit it. I would encourage you to keep those emails in a special folder to help you remember what you wrote about in your previous letters until they are available on your account :). Children stop using the template letters with help from a tutor around the ages of eight or nine. Your right that it can be difficult to get to know them really well when you only know the basics they share in their letters at the younger ages. Just remember that letter writing is a pretty foreign concept for most of the children in our program. You are probably the only person Kayivi and Inoussa have ever written to. Though our staff do an excellent job teaching the kids the art of letter writing, having a real conversation through letters can still be a hard concept for them to grasp. Keep asking them questions and sharing about your life with them, Lisa. You are encouraging them in more ways than you know, and I pray that your open heart will help them begin to share more about themselves as well :). Thank you so much for being an amazing sponsor to these two over the last four years! My mother was sponsoring 3 kids and having me write letters to 1 of the kids because she couldn’t think of anything to say. The little girl I was to converse has written 3 letters over the last 2 years. The letters I received were obviously written by someone much older. When I asked about specific things I included in the envelope along with the letter in the letter I received they were mentioned once. Whenever I asked questions asking for specific things like what type of stickers would you like to get. It was at that time I never received another letter. I informed Compassion International but the only response I received from them was them asking for me to sign up additional children. I was told you could not buy items specifically for your chosen child was that it wouldn’t be fair to the other kids so they always divided up the money however it was grouped and bought things for the kids that way. Based on the letters I had received you would think that the girl I was sponsoring would have at least mentioned the gift if not just a thank you. Then when it came time to send money for the family, or village gifts. I asked myself how they were going to provide clean water for a child’s family if there wasn’t enough money to spend for the entire village. That sounds like someone would be getting the short end of the stick. Then if you ask yourself why they are asking for a website address. The only possible reason would be to make the organization look more realistic. An organization similar to this is Feed My Starving Children there the child receives 24 cents out of every quarter and will tell you that is enough for one meal. There are no employees but only volunteers. If compassion International really cared that much for the kids there are enough volunteers available to replace many of their employees. There is software that is capable of reading letters written in any language and convert it to any language, and pictures along with generic letters (used as templates) wouldn’t take long to build such software programmers. I know this because I have been one for over 20 years now. The Feed my children also sends out God’s message in addition to the meals. Jay, I am so sorry for the confusion and frustration that we have caused in regards to your letter writing relationship with this precious little girl. Let me explain a little of how our program works so that you know where your letters and your mother’s support is going. The children are required to write at least two letters a year and reply letters to each letter their sponsor writes for up to six letters a year. This means that it is not normal to go more that six months without hearing from your child. Please do let us know if that is the case and we will check to make sure your child is alright. By the way, you are welcome to post here, email socialmedia@compassion.com, or call 800-336-7676 with any concerns or questions you have. I talk about some of the letter issues you mention in another blog post. Please hop on over here for more information about letter writing and some of the issues you are encountering. The only gifts that we combine are Christmas Gifts. Our reasoning for this is that we want every child to have the joy of receiving a gift and participating in our special Christmas celebration each year. We care deeply about each child and want every child to feel seen, loved, and cared for at least once a year if not all year round. If you send a child, family, or center gift, only 10% is taken as an administrative fee just to process the gift and get it to where it needs to go. We never divide up gifts specific for your child, family, or student center. Rather the money is used exactly for what you designated it for. We counsel the child and family on using the money wisely and make sure that the use of the gift is developmentally appropriate for the child (i.e. not used for drugs or alcohol etc.). However, the child and their family or the center ultimately decide how the gift is used and will be able to use the money on their greatest needs. You, as the donor, would then receive a thank you letter letting you know how the gift was used within six months of when the gift was given. If you sent $60 or more, you would also receive a photo of your child, family, or center staff alongside what your gift helped make a reality. 80% or more of all monthly support goes towards programs that directly impact the lives of the children. This comes out to at least 80 cents on each dollar and we do everything we can to be as efficient as possible so that we can send more. The last few years it has been between 82 and 85 %. We provide holistic child development in the four areas of development – cognitive, physical, economic, and spiritual. Clean water is in the category of what we would call a Complimentary Intervention. As the name implies, all Complimentary Interventions are automatically provided to children and families as part of the program. It might look different in different communities – sometimes we build wells, sometimes we have industrial water filtration plants, sometimes we give water filters to each family – but it is a mandate that all of the children and families in our program have access to clean water. In April, we rolled out new software, similar to what you had mentioned, to translate and deliver letters faster than ever before. We are still working through all the bugs in this new system (which I am guessing you will understand as a programmer yourself). We realize that we can do better to serve the children and our supporters and we are working hard to improve our program every day. I don’t like to compare organizations because there are so many wonderful organizations doing great work for the Kingdom of God. Also, while I know Compassion well, I am not an expert on all organizations and the intricacies. What I can say is that Feed My Starving Children may do it differently than we do, but we are all trying to do the same thing – bring children out of poverty – and I am thankful that they are there too and are doing the best possible job that they can. I am also starting to mistrust this organization. I have not heard from my child in a while and when I do it is so generic it could be from anyone. I was not happy to hear that when I send money he may or may not get all of it. And if I want a new picture I need to send $60.00. He did ask for a chicken but I have not heard if he got it. Now it’s his birthday and I don’t want to put in the card what I’m sending if he is not going to get it. Why choose a specific child if the money is given to other children. Starting to question the process. Good morning, Terry! I would like to first thank you for your support for Leo for the past 2 years. I am so sorry to hear that you are beginning to mistrust Compassion. I would like to help clarify some things for you and answer any other questions that you may have, as well. In reviewing your account, I show the last letter that we received from Leo was on April 9th. Do you recall if you received this one? Typically, letters to and from the children take about 2-3 months to be delivered each way. For example, the letter that you wrote in February would have been received by Leo sometime around late April to early May. Then, Leo’s response letter will take about 2-3 months to be received by you. We definitely want to make sure that the children in our program are writing to their sponsors. If 6 months passes and a sponsor has not received a letter from their child, we will send a notification to the child’s project to determine why the child has not written. I do understand your frustration with Leo’s letters not being personal. Letter writing is a difficult concept for the child that we work with. Their sponsor is the only person they write letters to. Typically, all of their communication is verbal with their family and the people in their community. The project staff works with the children to help them better understand how to write letters to their sponsor and will provide suggestions for the children about topics they can write about or questions they can ask their sponsor. Some children will copy the questions or suggestions from the board, which is why the letters can seem generic. As the children get older, they will begin to add more personal details to their letters and learn how to engage with their sponsor more. Please be encouraged to know that the children treasure the letters they receive from their sponsors. It is quite a joyous day when the letters arrive at the project and children wait expectantly to receive a letter. The children take their letters home and usually have a special place in their home where they keep all of their letters. If Leo is not answering your questions in his letters, he, most likely, took his letter home and forgot to bring in back on letter writing day. Please accept my personal thanks for your wonderful correspondence to Leo. You are doing an amazing job of writing him and encouraging him. We have recently changed our letter writing process, as well. With this new process, we are scanning all child letters and sponsor letters, as opposed to mailing them. Once this new process is complete, letters should take weeks instead of months to be received. Our hope is that this new process will help to build a stronger relationship between sponsors and their children, since the time it takes for a letter to be received will be drastically reduced. In regards to monetary gifts that you send to Leo, if it is a birthday, child, or family gift, Leo or his family will always receive the gift. There is 10% from every gift that is used for the administrative costs of processing the gift and delivering the gift. A monetary gift takes about 2 months to be received by the child. Once the gift is received, a thank you letter will always be written and sent to their sponsor. You are correct that if you send a gift of $60 or more, a picture of the child will be taken and sent to you, as well. Since this is a very generous gift we want sponsors to be able to see how the gift was spent. We do take new pictures the children every 2 years and update their information so that you can see how they are growing. I show that Leo’s most recent photo was taken in November of 2015. Thank you for blessing Leo’s family with a gift so they could purchase a chicken! I show that we processed this gift on May 17th. He will receive the gift around the middle of July and then send you a thank you letter. He will receive any gift that you send him. The only exception to this is our Christmas fund. If you donate money at Christmas time, typically this goes into our Christmas fund. This fund is used to purchase gifts for all children in Compassion’s program. Since some sponsors are not able to give extra, we designate one time throughout the year where we can provide a gift to every child in our program. However, you always have the option to designate your donation as a child gift specifically to Leo, instead of to the Christmas fund. I hope this helps to clarify some of your questions. Compassion strives to be an organization of integrity in all areas. We want you to feel confident in your sponsorship. Please let us know if you have any other questions or concerns. I find the presumptouis and pride and attitudes in some of these[you] sponsors almost, appalling honestly. *I do not work for Compassion Int., in fact, I am an every day jane dough. A note on the whole video chat thing, Look, we live in a very “microwave” influenced culture here, and the truth is simply, it is a whole other world in which these children live. You probably would not make it one day. You do not just pop in anywhere with a video camera or (regular camera) in these communitites! These peoples are very simple as is their LIVES. Think of how popping in for a photo opp would seem (of you taking pictures of things that are very NORMAL to them, but NOT “normal” to you?? Extremely out of place!! Even more so -if one tried to bust in to shove a “video chat” or something into their lives! Majority of these peoples in these places do not see anyone get into their cars and go to work every day, they may see a neighborhood aquaintance in their community get into a little make shift wooden buggy with an old field horse to carry them around a neighborhood to sell vegetables because they were lucky enough to have ground in their possession to grow them, and go around every day hoping to sell a little for their own food and maybe their rent-IF they were that upper class!! Trying to invade these families with video chats etc would be very STRANGE on so many levels!!! It is just not priority in these culture and in fact, hear me, is foreign!!!!!! While I do think the organization has things they certainly need to improve, it does not justify SPOILED attacks on every little thing they are not doing just exactly to your thoughts, or are doing. And do not judge me for what I have said. But I was born in a third world country and live in the modern United States. I do have the perspective. It seems this post is still being read by a lot of people who also post concerns about their sponsor ships and getting answers and help here, so I shall try and post my question and maybe I’ll get some help and answers here. I’ve contacted CI via email and phone but didn’t get a satisfying enough answer. Didn’t gt one at all, really. Here’s my question: We’ve been sponsoring a child in India for over a year now. From the booklet we picked up when we decided to sponsor, to the info we received in the Welcome Package, to the info it had on the CI app, we believed our sponsor child was born in 2010. The other day we received updated pictures (Thank you for that!!!) but his birthday was different. Instead of June 2010, it had September 2006!!! So our almost 6 year old is really almost a 10 year old??? In the email and via phone I was told the updated one is the correct one,but no explanation was given as to how something like this could happen. How did we go from a 6 year old to a 10 year old? How can you not get the date right? We’ve sent him birthday cards and coloring pages with a “6” on it last year for his birthday and this year again, with the wrong age. That’s embarrassing. He’s probably wondering what’s wrong with us. Also, we received another picture in January of this year of him where he looks younger than 10 and more like the age we thought he was. Lots of inconsistencies are emerging. Can someone please explain this kind of error to me?! We really have doubts about CI now and the trust we had is breaking, which is not good. Hi Mandy! I’m sorry that the new information you received about Sarwan made you distrust our ministry. I pray that I can rectify this situation and help gain your trust back with some clarification on what happened. When children are registered into our program, the parents often times don’t know the exact birth date of their child as birthday’s are not as important in other cultures as they are here in the US. It’s also likely that his parents didn’t have his birth certificate when they came to the center to register him. This is common, especially in families with more than one child. Many children don’t make it to their fifth birthday in impoverished countries and so the birthday is not held as valuable because what’s important is seeing to it that the child makes it through the first few years of life. We put in a birth date for the child as closely estimated as we can and if we find more information on the child later, we’ll then update his profile. Our staff who enter the child’s information are locals to that community. Because these children have grown up in impoverished conditions and are often times malnourished when they first come to our center, it can be difficult to estimate an accurate age. For these varying reasons, the information might not be 100% accurate for the child but it’s the best information our staff was able to provide when the child was registered. In Sarwan’s case, when he was registered, they estimated his birth date as being in 2010. However, on May 3rd, 2016, the staff were able to recover his school records showing his correct birthday of September 26, 2006. This is his most accurate birth date. Again, I’m so sorry for the confusion this caused you but we want to keep our sponsors informed at all times and updated on the records we have for your child. So as soon as our staff found this information, they updated it in our system so that it was correct, even though it conflicted with the previous information you’d received. Rest assured that your new photo of your sweet boy is the correct photo. As you can see he’s gotten taller and has matured in his features. He is definitely more slender as sometimes children get when going through growth spurts :). I hope you enjoy watching him continue to grow and I pray that this helps clarify the concerns and hesitancy caused by this update. We want your experience as a sponsor to be a positive one, as you’re investment in his life is making such an incredible difference. We value integrity and treansparency and are happy to answer any other questions you have. You can also email our social media team directly at socialmedia@compassion.com. Thank you so very much Emily! I truly appreciate that you took the time to look up our case and provide us with more details. If we had received a letter with an explanation like this along with our new pictures, we could’ve avoided a lot of confusion. I’m sure. I had NO idea that it is ‘common’ for parents in other cultures not to pay too much attention to their child’s exact birth date. I assumed everyone would know such a important date but if it doesn’t play such a important role as it does here and in other countries, then I guess, I can understand how something like this can happen. Again, thank you Emily. This helped a lot in explaining what happened. Yes it’s true. Many countries do not view a child’support birthday as important. When I lived in Egypt I was told no one celebrates birthdays. I was kinda sad upon hearing this, but I proceeded to ask my neighbor the birthdays of her two boys and she didn’t know! She retrieved their birth documents and when I made cakes for them for their birthdays she thought it was a very strange custom lol. As an ESOL teacher (in the US), I’ve also found that to be true. In fact, we’ve been told that if an incoming ESOL student has a Jan 1, ______ birth date, we can expect that it was a child whose family didn’t know the child’s birthday at all. Just last year, I had a 6th grader who was positive, based on her mom’s comments, that she was actually a year or possibly 2 years older than our school documents said. It may seem far-fetched to our culture where time is so fixed, but it is reality for so many people! I was just wondering, I sent books marks to my children in Ethiopia and Nicaragua last year for Christmas but they were taken out and I was told Compassion will not deliver the metal bookmarks and my sending the bookmarks to them will not be included in the translation. Hi Helena! I’m so sorry we couldn’t send your bookmarks last year :(. That was so thoughtful of you and I want to encourage you that you can still send your children bookmarks, but they have to be made of paper and flat. Also, bookmarks will not be translated but sometimes you can find bookmarks in your child’s language! 🙂 Especially if you look for them on Amazon or make them yourself. Regrettably, metal cannot be sent as it sets off the metal detectors in customs when our packages go through for your children. For a complete list of items you can and cannot send, you can review our gift guidelines on our website!. Happy writing and God bless you! During all my (perfect) letter writing correspondence to both of my British sponsors (and that one South Korean church), we were always told by the student center staff here at my church to write down the amount in Philippine pesos what we have received (the usual Xmas gift, Bday gift, the usual money gift twice a year. It has been too long I can’t remember how many times in a year we get support). I remember that the most generous sponsors were from Australia and some of us kids get silently jealous to those who were lucky enough to get Australian sponsors. I am so happy to hear you were able to achieve a college degree as a result of compassion. May God continue to bless you and also to let you be a blessing to others. I have only been a sponsor for a couple of years. I am grateful to the musician that came to my town and told me about compassion. It has given me the opportunity to help others. God is ultimately the one who touches us and provides for us. Let us remember He is our provider and our redeemer. I just want to say that I don’t feel Compassion is a scam, I do feel there are some issues and inconsistencies like some of those that others have noted. Some of the colored drawings are a perfect outline very perfectly colored, some are messy drawings but very neatly colored and then some are just no outline and just something drawn with a color. My child just now turned 5. Over the past year of being 4 years old and not in school yet I do not feel the majority of these were even done by her. Don’t get me wrong, it makes my day when they arrive and they are all over my refrigerator. It just seems a bit like they aren’t actually done by her. At Christmas time I sent a “packaged gift” in the usual size envelope we are allowed to send. Then I also sent a check for $100 that I included instructions that it was to be used to buy a gift for her along with gifts for each of her family members so that no one was left out and she would not be the only one in the family to get a gift. I get a letter that says a gift was purchased for Susi and the rest of the money was put into a fund to buy gifts for other children. I was quite upset as one can imagine! It was clearly written. I made several contacts about the situation. When I receive letters from her they are so generic that one can tell the translator is just writing something generic that they probably write to most. While I understand it takes time to do this, that is what they are suppose to be doing; one on one work with the child and the thoughts coming from the child. We are told to ask questions but these questions are never actually answered like the child was asked them. I send a package with every single letter I send which is about every 6 weeks and tell her that she can share the things with her brother(s) and sister(s) (I don’t really know what her family consists of). Share it with her friends, etc. I’ve never been told by her that she got a package from me or mention of what she got or a thank you. It seems like she’s never gotten any of the stuff I send. Rather disappointing considering the amount of money I spend, the thought that goes into sending the packages, the hand-made items I come up with that can be sent. Am I expecting too much? I just don’t know. Also, I’m with all the other people that are tired of all the junk mail that comes every week. Stop wasting this money on paper, printing, postage, staff time to send it all. Like one person said, send me something asking me to do it, next week send me a letter to make sure I got the first letter, next week asking me to consider doing it again. For compassion Sunday I bet I got at least 6 or 7 mailings and probably that many or more emails. That took a lot of money! Then there is the sponsor another child notice that comes every few weeks and would you like to donate more money for this or that. It’s getting to be frustrating. I guess I don’t mind it stuff comes in a mass email that goes to everyone on the list but this stuff by mail has got to end. Just send me the monthly sheet to write my letter on and translate for my child and that is all I need. If I want to send extra money there is a spot right on the bottom to do so. I’m finding it harder and harder to believe that 82-86% of the money goes to the child’s care. I totally understand your frustration and as I sponsor myself I’ve questioned almost everything over the years but ive gotten answers to most of them. I think there was some confusion regarding the christmas fund thing. If you send to the christmas fund it will be divided among all children as it should be. No kid should go without. However if you want to send money around christmas to your child and her family, just send it as a family or child gift and it will go to them. In my experience no matter how you send it, it goes collectively to the child or family depending on their needs and I’m okay with that as they know more of their needs than i do. I don’t know what you’ve included in your packages but unless its paper, it didn’t go thru. And now do to the new horrible writing system, we are even less able to send things. Very strict guidelines and almost everything is getting scanned which is a total bummer. It will take them some time to iron out the kinks in the system although i keep hoping and praying they revert back to the old way. As for your letters being different each time, ive learned over the years that it completely depends on the rep helping them. I had one child who never said much of anything. I got the most dull letters and no drawings for years. Then one day i started getting drawings and long letters from him. I was so happy. He just wasn’t getting the help he needed to write them at the time and the issue was fixed. Hang in there. We all are trying. If you do give big financial gifts you’ll often get a pic of what the kid bought with the money. One of my kids always buys goats no matter how much or to whom i send it (family vs child gift). They are starting a goat business she said in my letter one day after i asked why they keep buying goats. Through those goat pics ive seen my kid, her mother, and her father. neat to see. Debra, I am truly so sorry that your generous Christmas gift to Susi and her family was not processed the way you had clearly requested it to be. I know you gave that gift from the heart hoping to be a blessing to her entire family and felt as though Compassion did not listen to your request. Half of your gift did go directly to Susi’s family, and you should be hearing by the end of next month how that gift was used to bless them (just in time for your 1 year anniversary!) The other half was used to purchase a gift for Susi and a gift for another child in the program through our Christmas fund. I know that was not your intention and I do apologize for the misdirection of your funds. Please know that I am willing to personally double check that your gifts are designated correctly in the future. You may always email me, Susan, and Emily at socialmedia@compassion.com any time you have concerns. You HAVE blessed Susi and her family significantly, and I cannot wait for you to receive the thank you letter regarding that family gift! With her age, she does have help from a tutor with writing letters back to you. You are the only person that Susi has probably ever written a letter to, which can feel a little overwhelming and like quite a strange concept to a child who really only uses verbal communication in her daily life. On letter writing days, the staff put suggestions for topics and questions on the board for the kids to write to their sponsors. Since a tutor is helping her write the letters, they may simply put her quick response down to a few of the questions she wanted to answer from the board. My own (not so little anymore) girl used to give me very generic answers when she was four and five too, and it was hard to feel like I was getting to know her! But I persisted and continued to encourage her at every opportunity the same way you have been with Susi. It took time to develop our relationship, a few years in fact, but now she chatters at me like I’m on the other end of the telephone or sitting next to her on the swings at recess. That girl has completely blossomed into a confident young lady over the years. Keep encouraging her. Keep asking her questions. I’d encourage you to ask just a few questions per letter and highlight one or two so the translator can help her remember those are important to answer. She is receiving your letters and your hand-made items. I’d encourage you to highlight a question about those in your next letter! Sometimes the kiddos just don’t realize that we want to know if they actually liked the items we send :). I have reduced the amount of mail that will be coming to your address. I do apologize that it has felt quite overwhelming to you, which is not what we want. Please know that it costs us very, very little to print most of our mailings because they are done in house. We are committed to send at least 80% of sponsors’ donations to the children’s care. We take financial integrity very seriously, knowing that every dollar we receive is actually the Lord’s money and should be stewarded wisely.The watchdog organization, Charity Navigators, has given us a “4-star” rating for over 14 years in a row. I’d encourage you to look us up on their website if you haven’t already. Thank you so much for being a blessing in Susi’s life, Debra! Can you please reduce the paper mail coming into my mailbox as well? I have sponsored for 8 years, and I generally do not open any email unless it is from my child. This makes quite a stack of wasted paper and effort so I would enjoy not getting it. Hi Chris! As you requested, I have adjusted your mail preferences so that you will only receive messages related to your sponsored child. Thank you so much for your faithful partnership in loving and supporting a girl in Haiti! Oh hey! Susan could you please do that for me, too? I get entirely too much mail and the money used to produce and send it could be better spent on the children. Hey Marci! I just took care of updating your preferences to receive updates from Compassion and about your child by email :). Thank you so much for helping us direct more funds towards the children! I haven’t gotten a Letterrible or picture from my sponsors child nor I have seen an update. Hi Pam! I am so sorry that you haven’t heard from Farel in a long time. It looks like the last time you received a letter from him was April 2015. I do apologize for that! Our children are required to write to their sponsors twice per year, whether they are receiving letters back or not. I am sending an inquiry today to have Farel write another letter to you and make sure he is doing ok. I noticed you have started writing to Farel more often lately, which is great! Each of your letters will bring incredible encouragement to Farel. The more often you write, the more often you should also receive letters from Farel. You can expect to receive up to six letters per year from him if you are writing regularly (about every two months). We update each child’s information and photo every two years, which means you can expect to receive that around November of this year. Since Farel has been in the program since 2013, he actually has had two official photos taken by Compassion. You should already have his current one, but I would be happy to send you his previous photo as well! He’s one handsome little man! Sent money for a Christmas Gift, received a letter from the child but no mention of a gift. Was the money used for a Christmas gift?? Hi Joe and Brenda! I did check your account and confirmed that you did send Eferem a generous Christmas gift. Thank you so much for blessing him with that! We were able to use that donation to purchase a Christmas present for him, but it might have been a little early for him to mention the gift in that specific letter. It arrived at the country office on January 1, which means he probably wrote it before Christmas. I’d encourage you to ask him in your next letter what he received, highlighting the question so he remembers to answer it :). I sponsor a child in India.I have many questions and concerns. I have recieved 3 letters from someone who writes ” on behalf ” of the child.Two of the letters have been signed by this person, but the hand writing is different. In one letter they tell me the child lives in such and such place, but in another letter it says somewhere different. I supposedly am getting a little drawing and coloring from the child, but they are very inconsistent in the way it is done.One is very neat and in the lines while the other is scribbled and messy. I recived these 2 separate letters in the same week. In one letter the writer refers to the child as SHE and in the other letter as HE. I would think the person who deals with the child and writes for them would know which gender they are!!! There are so many things that seem strange about the letters I have recieved.Then all the other mail I get from Compassion is bothersome! Do this – do that – give this-give that… it goes on and on….so much money is being spent on all these mailings…why not give it to the poor and needy?? Now I am getting stuff about taking a trip to “hug” my child. It would cost over 3,000 dollars to go “hug” my child. I would think it would be more helpful to send them the 3,000 dollars!!!! I am beginning to really wonder if it is all keeping some people in lovely homes in Colorado and paying for recreational activities. I have relatives who are missionaries in Peru. I think I will see about sponsoring a child there who they know personally. The week after Christmas my husband almost died. I wrote a letter to Compassion explaining I might not be able to continue because of medical expenses and such, but for now I would try to keep giving the 38.00 a month. I never got an answer in any way, but I did get a letter letting me know I had missed the month of Dec. payment and now owed 76.00 dollars. I recieved a letter about promoting Compassion at my church. Then in a few days I got another letter asking me,”Did you recieve my letter about Compassion Sunday?’ – or whatever it was called. Well, I was thinking, did YOU get MY letter about my husband almost dying and my concerns???? I want to believe this organization is on the up and up, but it’s hard. Dee, I am so sorry to hear that your husband has been sick. I can’t imagine the financial and emotional burden you are feeling right now. I also want to sincerely apologize as it sounds like this sponsorship and our mailings have increased the burden. I have covered your support for the months of February through May because I can imagine that you have so much on your plate right now and cannot worry about one more thing. I just said a word of prayer for you and your family. May the Lord, as only He can, provide you with the grace, peace, and wisdom to face whatever is in front of you. We meet as staff to pray for our supporters several times a month. Please let me know if you would like me to add you on our prayer list so that we can continue to intercede on your behalf. We understand that $38 a month is a lot for most people. As Christians, we understand that every $38 we receive is really the Lord’s and He has called us to steward it wisely. For this reason, we take financial integrity very seriously. As mentioned at the top of this blog post, the watchdog organization, Charity Navigators, has given us a “4-star” rating for over 14 years in a row. We are proud to say that for every dollar you send 82 cents goes directly to programs that benefit your child specifically. We never want this to become a burden to anyone but rather a joyful opportunity to give to those in need. Let us know in May how you and your husband are doing and whether you are able to continue your support at that point. We so appreciate all that you have done for Prasanth, but if you are no longer able to continue we will understand. As far as the letters, we see personal pronouns often mixed up by our translators. English is a difficult language to learn and for our translators who know English as a foreign language words like “he” and “she” are regrettably often mixed up. I can assure you however that Pransanth is known and loved individually by the staff at his student center. They are aware that he is a boy, but often when the letters are translated, the translator might get those pronouns mixed up. If you have any further concerns about the letters, please send them to me personally and I would be happy to investigate further. My email is socialmedia@compassion.com. Dee, again, thank you so much for your support. Please know that you are in my prayers. God bless you! Hello. I work with nurses from other countries. Several from the Philippines in fact. I love them and now occasionally find myself mixing he or she just by association with them. I am writing to verify that yes they know gender but our pronouns get mixed in conversation. Hope that helps yours and anyone else who is having trust issues regarding misuse of a pronoun in relation to their child’s gender. Hi Dotty! Thank you for the role you play as a caregiver and nurturer of those who are sick. We appreciate your desire to bless others and see them grow healthy and strong. Thank you for verifying that there is no pronoun for he or she in the Philippines. This information is helpful and reassuring for sponsors who receive a letter where the translation may have referred to their child as the wrong gender by mistake. I pray God continues to bless and keep you as you grow and pursue the calling He’s placed on your life. I sponsor a little girl from the Phillipines.When I send extra money as a gift,does she or her family receive the full amount that I send? Hi Barbara! Thank you so much for sponsoring your little girl! Any time you send a monetary gift to Faith and her family, Compassion does use 10% of the gift to cover processing and delivery costs. The rest of the gift goes to Faith, and a worker from the center will help her and the family decide how they are going to use it. Where is that bit of information in the literature? Is that more than is taken from the normal monthly amount? or is that also at a 90% rate? Hi Dennis! The 10% administrative fee is only on child, birthday, or family gifts. This fee is only to cover the transaction costs, wiring, and delivery fees on that gift. However, for your monthly donations (the $38 you send for your child), 80-85% goes towards programs that directly benefit your child. This means that 15-20% is the administrative fee on monthly donations. My family has been sponsoring a young boy named Alanael. Recently we received a letter informing us he has leukemia and is in the hospital getting weekly treatments. My concern is how are my funds helping him if he cannot attend the Centre? Mindy, I appreciate your care and support for Alanael during this difficult time in his life. You certainly are entitled to know exactly where your money is going. The center staff in Alanael’s area know him personally and are visiting him on a regular basis. They are also helping his family with the medical costs and any other outstanding needs like food and counseling during this time. Your support is helping to provide all of these needs and more for him and his family. Please let me know if you have any further questions or concerns. You are also welcome to email us at socialmedia@compassion.com. I am sponsoring a young man. The initial information that was given to me was that he lived with his mother. I have written several letters mentioning his mom and their relationship. I just received my first letter from him (very generic, but they warn that letter writing is difficult for these children); which says he lives with a grandparent! So now my concern is that, if his situation involves abuse by his mother (or her death), my letters will be depressing instead of encouraging and uplifting. The letters are already sent, so I can’t undo this; I don’t want to cause him grief when the purpose of the sponsorship is to help and support. I called the 800 number, but got no answers at all; then the person hung up on me. I’m starting to think that this is a scam. I am a long-time sponsor through Compassion, and I know they are not running a scam. But you don’t know that. Emily’s reply to you, below, is very good, and I hope you will follow through on her request. I would further suggest that you check them out on Charity Navigator and look for some of the old articles that have appeared in Christianity today. If you are on Facebook, follow their pages and get to know some of those who comment on posts. Ask questions. Do your research. I fully believe you will be greatly encouraged. For your own sake, but mostly for the sake of your sponsored child, I hope you will not simply withdraw your support and terminate your sponsorship. That’s extremely hard on the kids. Kay, it sounds like you’re really concerned and we appreciate your care for your child and completely understand your desire for transparency and clarification regarding your child’s situation! I’m so sorry that we didn’t get the opportunity to answer your questions and clarify your concerns. I see that you got the chance to speak with one of our representatives in the Philippines. You actually spoke with one of our previously sponsored children that are on Team Constellation. Our intention was certainly not to hang up on you as I see notes on your account that there was a bad connection and our representative actually lost their call with you :(. I’m sorry for that as we don’t want you to feel that your concern was ignored or unimportant! I’m going to pass along this feedback so that we can assist this representative with training to call the sponsor back when things like this happen. When I receive your letter, I will contact our office in Ethiopia to ensure that your boy is doing alright and find out more about his home situation. Thank you so much for bringing this to our attention and for your patience as we work to resolve this situation for you so that you can continue building a relationship with Mesfin and better know how to talk to him in your letters. Emily, in your reply to Kay, you made this statement: “Compassion gives formal updates on your child every two years and because of that, our children keep their sponsors updated through letters being written back and forth.” While I love Compassion and actively, formally, advocated for Compassion’s children for 11 years, I have not found that statement to be true. I receive photo updates every couple of years, but except for the first two years, I have not received further updated information, unless it came from the child. Their pages under My Sponsorships are often several years out of date. I have long wished for a letter from the project or the pastor of each child, every couple of years, giving an all-over update on how my kids are doing: spiritually, behaviorally (at the project, at school and at home), academically, and any other way that is significant in the child’s life. I do know what I’m asking, given the sheer numbers of children, and I don’t expect it will be done, but that is the kind of update I received in the first two years of my first sponsorships. Now, other than the photo updates, I get grade reports on my girls in TZ, and from none of the other countries where we sponsor, or have sponsored children. Only the photo updates, and any updates that make it onto their pages. Hi Vicki! Thank you so much for your feedback and I’m sorry that you feel you haven’t been getting updated information on your kiddos :(. You’ve been a faithful sponsor with us over over 12 years now according to our records (wow!) and are currently blessing 14 children! Thank you so much for your love and care for each of them! In regards to your child’s profile on the website, the information under ‘Community,’ ‘Child Development Center,’ and ‘Child information’ are only changed if there is new information to add to it. For example, if your child lives with the same guardians during the duration of their time in the program, this will not be updated. However, the child’s grade will change and if their performance changes, this is another update you will see to this section. We value the one to one relationship that our program offers our sponsors and children to build. We encourage our sponsors to ask their children specific questions they might have about school, church, their family, and hobbies. The tutors and staff at our projects help the children answer these questions in turn, helping you connect with their world in a more personal way. You should definitely be receiving letters from your child’s pastor though. Did I understand you correctly that you have never received third party letters from us about your child’s center or church? We certainly want to ensure you’re receiving these. We also recently sent out regional newsletters with updated information about your child’s country! If you didn’t receive these, please verify that we have your correct mailing address on file and email us at ciinfo@us.ci.org and we can get them re sent to you. You can also view them on our main website by selecting ‘Where We Work’ and then selecting your child’s country and region. We always want to grow and improve in the way we serve you as a sponsor and so we are grateful for this type of feedback. Please be encouraged that in the next couple of years, when we roll out our new software and processes, we are looking to give sponsors more opportunities to connect with their children that are quicker and improved! I have received two, maybe three pastor letters, over the years, from different pastors and, I think, different countries. That is all. I received a letter from the project director in the Dominican Republic, several years ago, telling me that one of my girls was away from the project for a few months, because of problems in the family. I think those are the only third-party letters I have received. Also, the pastor letters are, necessarily, general about the project and the children, adding nothing specific about my child. I’m sure having to add something specific about each child would be a burden, in a project serving 350-400 children, or even 200. I may be guilty of first-world thinking, as I sit at my computer. About the website: In at least one instance, parental information remained unchanged three and four years after a parent had died. I was glad the child couldn’t see that page. I’m sorry but did this company ever consider VIDEO CHAT?!!! Talk about a way to eliminate scam fears!!!!! I know I’m really new to sponsoring through this company, but I have to admit, I received packages in the mail specifically telling me that it would only take 4 to 6 weeks to receive a letter from my child……7 weeks later I’m highly frustrated and send multiple emails. I finally get a response via email and its automated! I asked for someone to call me so that I knew human was handling my issue…..He stated that my child was a she when the child is a He. Anyways, the response the second time said that it normally takes 3 to 6 months to receive the first letter….hmmmmmmmmmmmmmmm. After receiving that email I logged into my account and OHHHHH look, a letter from my child is ‘in translation’ dated two days prior…..Ummmmmmm I log in everyday waiting for a letter, that certainly wasn’t there two days ago or yesterday. When I click on it it just tells me in translation…well maybe id like to see it in his natural written language!!! Just maybe I need actual proof. Let’s really think about this: they send emails, right? Emails that only take one minute tops to reach the receiver………..but they cant get it to us any faster than 3 to 6 months? I read a lot of these concerns from other sponsors and I’m sorry but not one of them is actually happy with their experiences. This other woman has 14 sponsored children and you wanna tell her that she’s lying?! How much you wanna bet she spends more money on sponsored children than you do and you supposedly ‘work’ for the company. I think the best way to eliminate confusion is to do it all yourselves. obtaining the childs address and personally delivering gifts or even mailing them, buying them a tablet or smartphone so that you can video chat…. I know it seems like a lot of money but when you book your flight in advance its incredibly cheaper. and as compassion says its the Lord’s money so why panic if you know its going directly to a child in need. Most if the time children cant make it into these programs and are left out completely….but lets go ahead and waste money sending bulk mail and thick and pretty pamphlets to sponsors to get more money out of them. I don’t think your company realizes that if you guys sent more proof that the kids are receiving those handmade crafts and letters……..I mean take a picture of the sponsored child the letter or gift received and a newspaper of the date…….and that child should look exactly like the pictures you guys send us….. If yall are understaffed then you must be doing something wrong bc if it’s a blessing from God everyone would be satisfied. Proof shouldn’t even need to be a debate on these forums. If Christians truly believed in this company’s good works then every church goer would be OFFERING their time and talents and energy into translating letters for the sponsored children and sponsors. where in the junk mail received does it say “would you consider volunteering to translate letters for other children?” are you serious?? Ya’ll really didn’t think of that? I guess the next best thing for non profit is an organization that actually provides proof each and every day, that will be the company that eliminates Compassion. Imagine how generous sponsors would be if they knew what they were doing was going directly to that child!! Sarah, I see that you just began supporting a child with us on March 30th of this year. I’m saddened to see that you’re so disappointed and frustrated with us so soon into your sponsorship. I’m so sorry that when you spoke with us, we referred to your child as a girl instead of a boy. This was certainly not intentional and it sounds like it was just a misunderstanding when we spoke with you and our representative said the wrong gender. Please know that we care deeply for the children in our program and are grateful for the time and resources you’ve chosen to pour into helping release Lenilson from poverty and encourage him in his potential in Christ. I’m hoping I can clarify the confusion regarding the letter time frame. When you began supporting your child, we were working with older systems in which processing letters to and from your child was very manual and took 2-3 months for letters to be delivered both ways. We know sponsors are eager to hear from their children when they begin sponsoring and so a pre-written introduction letter from your child is waiting to be sent once they hear they have a sponsor. New sponsors should receive this introduction letter within the first four months of sponsorship. You will also receive an updated photo of your child every two years as we know how much sponsors enjoy watching their children mature and grow. I’m sorry if there was any confusion in the information you received. Thankfully, God opened up doors for us to update our systems and make our letter process more digital. This will speed up the time it takes to send and receive letters between you and your child to weeks instead of months. This was done just last month which is why you saw a letter in your My Account online so quickly and why it seemed odd with prior information you received. I just checked on your letter and it is still in the translation step but once it’s finished, you’ll be able to open it and view the letter in your My Account! I really hope you enjoy it! I see that you’ve already written to him seven times. What a blessing! Thank you so much for already writing so often. Rest assured we’ve received your letters and they’ll get to your boy. He’ll be thrilled to hear from you and get to know you. Please note that his first letter is only an introduction letter for you to get to know him and will likely not mention anything you’ve written in your letters to him so far as it was written before he received your letters. But in the future, you’ll see responses from him to the letters you’ve been writing. You began sponsoring during a transition season for us and when changes like this happen in a large organization, it takes some time to fully settle into the new system and make everything run smoothly; so there’s some overlap from the old system to be expected. This is why you received some conflicting information regarding time frames for your letters. I do apologize for this as our intention is not to deceive you or make you hesitant in the integrity of our ministry. We appreciate your grace and patience as we move over to a new system together. For security and privacy reasons, obtaining your child’s personal address and communicating with them outside of Compassion is not allowed. You can read more about this in our blog we wrote about communicating with your child through social media. You’re welcome however, to go on a custom visit or a group tour with us to meet your child and bring them special and personal gifts if you ever feel led to do so. Also, with 1.7 million children in our program, we don’t have the capabilities to do video chat with our sponsors, I pray that God blesses the relationship you build with your child through letters and that you enjoy investing in his life and watching him grow. We will also be contacting you via phone as you requested in your email to us, to answer any other questions or concerns you may have. Rachel, I’m happy to address your concerns for you as well as address the concerns you mentioned of Sarah’s (sorry if there were a few I missed!). Although video chat is free and would definitely be a fun interactive way to engage with your child face to face, it’s not currently a feature that Compassion is taking on right now with over 1.7 million children in our program as it would involve much staff time and would in turn cost Compassion money for the time to provide these chats. We want to be good stewards of the resources we have and although this is an awesome suggestion and may be possible in the future, we felt it was important for us to focus on upgrading our systems and enhancing the letter relationship with your children while continuing to pour into them holistically when they attend our projects. We’re excited to be able to start sending more communications to sponsors via email with our new system upgrade and you can go to your My Account on http://www.compassion.com and customize your preferences for receiving things via email such as our magazine! 🙂 Letters as you might know can now be viewed straight from your My Account. If you change your preferences to only receive the email notification and view them online, you will no longer receive the paper copy in the mail. We want to ensure our sponsors are staying up to date with our program and with your children and we know not everyone uses email. So we do still send some communications via mail. But you’re welcome to contact us if you no longer want to receive updates from the field and other mail from us such as general appeals and we’re happy to update your account so that these stop. We definitely want you to be confident that your children are receiving your loving letters and gifts. You all are amazing letter writers and always are so generous in what you send to your kiddos which is why our children write thank you letters for the gifts they receive to give their sponsors assurance that they received it. If you send a gift over $60, you will also receive a photo of your child (and sometimes a family member or entire family) with the items they purchased with your gift (livestock for example, or the clothes or food they purchased). Again, because taking pictures is costly with everything involved from taking the picture to getting it to you and would take much staff time when they have many duties throughout the day along with carrying on project activities, we cannot do it for every letter that is sent. I apologize for the inconvenience and if this makes you hesitant in what you send. I encourage you to watch some of the videos with our alumni who have grown up in our program and are now flourishing in what God’s called them to do. They talk about the letters that were so valuable from their sponsors and how much they treasured those relationships. Here is a link to all of our alumni blogs, and the interview titled ‘What if I don’t write to my sponsored child? [VIDEO].’ I hope that it gives you some assurance in how much your letters mean to your kiddos and that they do receive them. Also, in the past, many of our translators were volunteers. Now with our new system, they are translated through very advanced, intelligent software that learns words as it goes so that letters get translated even quicker! But they are still double checked by individuals like those volunteer translators I just talked about, for quality. I’m sorry if your kiddos don’t answer your questions. I know that can be frustrating and difficult to build a relationship when it feels one sided. In the past, we had sponsors highlight their questions. Now with this new system, it actually identifies questions that you ask and those questions are provided to the tutors so that they and your child will very clearly know exactly what needs answered every time you ask a question! We’re thrilled about this and I pray that you begin to find your questions being answered in future letters your child writes to you. If you continue to receive letters that don’t answer your questions, please email us at socialmedia@compassion.com and we can have our tutors work with your child. We often see that even the happiest of children will not smile in their photo. For the vast majority of children, our photographs are the only ones they have ever had taken and in some cultures smiling for a photo is not the norm. It can be frightening for children to get their picture taken as it is for children in all cultures. I hope I answered all of the concerns and questions you have and please know how much we love these kiddos and value your heart for children and desire to see their lives transformed. I pray that the Lord shows you what a beautiful difference you’re making in the lives of the children you pour into. Dear Vicki, I was on the fence about selecting a child to sponsor but your letter and hearing about your faithfulness for 14 years with this organization and the children has made up my mind to take a chance and sponsor a child! I hope that I can be as loyal and a blessing to someone else! Hi Vicki! Thank you for your reply :). I just spoke with you over the phone regarding these concerns and your kiddos. You’re such a blessing and care so deeply for these children. We appreciate you and please let me know if I can assist you further! Always feel free to email us at socialmedia@compassion.com with any concerns or questions you have in the future. Hello. I recently have begun sponsorship of a boy in Central America. I know the Colorado Springs area well. It is a favorite headquarters for multiple Christian organizations, although I’m not sure why Colorado. The above post about the CEO receiving a 6 digit salary plus staff taking expensive trips with family concern me. Can someone from CI address this? I’m a teacher in remote, rural Alaska where all of us faculty and staff stretch our pennies and live with exceedingly less than the general American, and I want every one of my dollars to count. 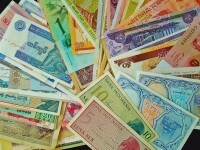 Living frugally and being content is possible for westerners. It truly is. Even my district administrators don’t earn 1/3 that much. That is much too much salary for a non profit Christian outreach. Why is the CEO’s salary so high? Do the directors receive similar salaries? Hi Lindsay! First off, thank you so much for choosing to change the life of a child in poverty! We understand that you are giving selflessly out of the goodness of your heart and that is why stewardship is so important and integrity is a high priority for Compassion. I am very sorry for any concerns that the salary of our CEO’s has caused you. Our intention is to be transparent with our generous donors and those that are making such a huge difference in these children’s lives. Our statement on stewardship says that, “The ministry of Compassion belongs to the children, our Implementing Church Partners, our sponsors and donors, our Supporting Church Partners and ultimately to God. Therefore, we protect, develop, and deploy all of our resources (people, time, money, knowledge, reputation and materials) with great care and wisdom.” In order to develop quality staff at Compassion while at the same time managing our financial resources with great care and wisdom, Compassion offers competitive salaries for the various positions necessary to successfully execute Compassion’s mission statement. To make sense of the salary we pay our president and CEO, please understand that his income is well under the average salary range of other presidents and CEOs of other organizations who are within the same categorization as Compassion. Also, our leaders are faithful sponsors and donors as well, and personally and financially support the ministry. I completely understand that you want ever dollar you donate to count. Our core mission remains to release children from poverty in Jesus’ name. And we will continue being committed to at least 80% of each dollar you send, going towards the programs that directly impact your child. For a given child, when does the sponsorship program end, i.e., at what age? You indicated that the goal of the program included supporting the child until they are able to support themselves. Does that happen when they become adults? How many sponsors does it take to support one child through the process? Hi Calvin! These are great questions, I am happy to clarify this for you. 🙂 Each country that we partner with has a maximum age that the children are able to attend the program and it varies per country. The completion age in our countries ranges from 18-22 years old. The children in our projects may or may not stay in the program until they reach this age. Some leave after high school and begin working, helping their families, or go onto reach other goals they have. Others decide to stay in our program for extra vocation training. Once your child reaches their final year in the project, we send reminders to you so that you can prepare to say goodbye. In regards to one child having multiple sponsors, Compassion is a one to one sponsorship program. We value the impact of the relationship that each sponsor can build with their child and the hope they can bring through letter writing. Although children may have had multiple sponsor’s throughout their time in the program as circumstances arise and some sponsor’s need to cancel their support before their child completes the program; Compassion only has one sponsor per child. I sponsored a child from El Salvador for 7 years, beginning when she was 11 and ending when she became 18. I found it very rewarding; however, I was very disappointed the way it ended. I sent money for her a Christmas present in 2013, money for her birthday for April 1, 2014, and a graduation check for $200, plus a good-bye letter, and never received any acknowledgements for these. Consequently, I wonder if she received them, so I would probably not sponsor another child, but would give my money locally, so that I could personally see the benefits to a child. Hi Lana! I am very sorry that you did not receive a thank you letter for the gifts that you sent to Marcela. We are grateful for your generosity and blessing your child in such a tangible way! Because it takes 2-3 months for gifts and letters to be delivered both ways, we ask that our sponsor’s wait up to 6 months to receive an acknowledgement for the gift they sent. Our records indicate that Marcela was to graduate the program in April of 2014. I see that you sent her a graduation gift as well as her birthday gift in January of 2014. She would have received these gifts in the beginning of April when she was completing the program. The way our program works, sponsors are not guaranteed to receive a Christmas gift acknowledgement since all Christmas gifts are combined and distributed evenly among both sponsored and unsponsored children to ensure each child receives a gift. Because of this, children may or may not tell their sponsor in their next letter, what they received for Christmas. Your child is always told however, that the gift she receives for Christmas is from you. Our policy also does not require that a thank you letter be sent for the final graduation gift. The reason for this is because once a child completes our program, we have no way to require a thank you letter from that child since they no longer attend the project. I certainly apologize for any misunderstanding or confusion in regards to the time frame of receiving an acknowledgement for the gifts you sent and if this information was not communicated to you. Although you are no longer sponsoring Marcela, I would be happy to inquire with our field staff, what she was able to purchase with the birthday gift you sent. Please let me know if you would like us to research this gift further for you. You can reply on here or email us at socialmedia@compassion.com. I do want to encourage you that your child received 100% of your generous graduation gift, birthday gifts, family gifts, and other child gifts sent over the years, each letter, and sticker that you encouraged her with, and we are grateful for the impact you made in her life. In a previous post it was said that 10% of all gifts is used for processing and something else, but here it says the child receives 100%. Which one is correct? Diane, at the time we had written this blog, 100% of your gift was going to your child. This has changed and now Compassion will utilize a small percentage of your individual child-gift donation (10 percent) for the ministry’s administration and program delivery costs of the gift. Be assured that Compassion remains committed to stewarding your gifts with sound fiscal management, accountability and transparency with you – and always with the children as our first priority! I, too, had a disjointed goodbye with my grown child in El Salvador. After many months, I did receive a large photo of my sponsored child, working at a small computer, and thanking me for supporting him over the years. I am grateful for it. Just remember what a blessing you have been to her, even if the distance or conditions did not allow a final note to you. There is much going back and forth about the integrity of the organization and looking for proof that one should sponsor a child through Compassion or not. I would like to encourage any believer to ask God through prayer whether He would like them to use His money in this way. He alone knows the absolute truth about the heart of any individual or organization and whether it would be of benefit to both the sponsor and the donor. Remember that we don’t have because we don’t ask. I prayed to God about my decision when I was seventeen and I have sponsored children now for 27 years. I know He led me to do this. It is a settled thing in my heart. I appreciate the blessings I have received and pray earnestly for the continued integrity of Compassion. God wants me to pray earnestly for my child and encourage her as well as send the money. I am privileged and blessed to do this for Him. For His glory. I gave up on my sponsorship last year. According to Compassion International, I was sponsoring an eight year old girl in Ghana named Elizabeth. I was told that she was an only child who was raised by her aunt because her parents had passed away. In the few letters that I received, her information/background was very inconsistent. She would say things like, “Please pray for my parents to have more money to provide for me and my two brothers.” In every letter, it made me feel like my contributions weren’t enough. I paid the regular amount, which was like $30/month. Then at the end of every month, I would send some extra. I gave way more than enough. I also felt hassled by Compassion International for not including prayers in my letters, not a big deal, but annoying. I’m not a religious person, I just wanted to do something for someone less fortunate than myself. I’m really sorry to hear that you felt misled and hassled by Compassion. 🙁 That was not our intention at all. It definitely sounds like you had a very legitimate concern in your child’s letters since they were inconsistent. We would have been (and if you’re still sponsoring, we’re happy to) check into the situation and verify that we have correct information on your child. We welcome the opportunity to improve. Regrettably, we can’t make things better if we don’t know there is a problem. Also, we so so appreciate all that you have done for this child! The monthly donations of $38 is a lot and it does a lot for your child. In no way did we expect or intend to force you to give more. Many sponsors and donors are itching for more ways to give and help people in need. We simply would like to provide the education for those who have the desire to give more on how they can give more. We don’t require our sponsors to be religious, however our program is a Christian program, and the children will often include religious things in their letters. I’m so sorry that we made you feel uncomfortable with this. Please let me know if you are still sponsoring and if there is any way that we can make this up to you. My email is socialmedia@us.ci.org. Thank you Darren Bailey for your honest sharing! I have a sense like you. And I just check what their CEO paid, guess how much he get? It’s $300,000 something! If you really help kids you won’t get something good paid from the sponsors that love the kids! I’m sorry my kids. It would be goodbye in April 2014 for me too. God bless! Sadly, I’ll be giving up sponsorship to Compassion UK in February 2014. My experience with them has been less than candid. I sponsor two children: one in Uganda and the other in Mexico, since they were 4 years old. I have received letters from Mexico, but often many many months later than letters sent to them. The same is true of Uganda. Often the replies are disjointed and I’ve had the odd letter with drawings and little else which reflects badly on the education they are supposed to be getting. Sadly, the letters from my child is in Uganda were laced with political comments too and subject matter no kid would use. to describe their surroundings. “You mighty man of God, the Lord bless you, hoping this letter finds you well” is not the language of a kid. Questions I asked went unanswered. That meant either my letters to them were not being properly translated to them, or those written back were being written by a person who had little knowledge of them and just filled in the space to make it sound good. I wasn’t convinced I was hearing from the children I sponsored. Furthermore, the cover for my child in Uganda stated they were an only child. The only child stated they had a lot of brothers and sisters and gave me their names. The child in Mexico was being raised by an uncle, but gave me the names of his father, his mother, and a photograph of his sister, and told me about trips he went on from time to time. It sounded more authentic than the letters I was getting from Uganda, at least. There has always been problems with communication and accuracy of information vital to building relationships was low. To date I know next to nothing about the children I sponsor which is a sad reflection of the antiquated and poor service Compassion UK operates. There is clearly something wrong somewhere. I did get photos, and they tell their own story. I noted my sponsorship had done precious little to raise either of them out of poverty. They were always sad in their photos, their clothes look tattered, shoes that didn’t fit, and one of them always looks hungry (my Ugandan child). At one point, months after the event, I was told their mother was taken into hospital which, should have made that child an orphan if she had died. Out of concern I asked Compassion UK about her. They told me it was a local matter and nothing to do with them. I wondered how the child’s health, provision, mental well-being, without a mother who was in hospital, was of no concern of Compassion UK? Yet I have received endless demands for more sponsor for a desperate situation. I have wondered what St Paul would make of this? What Christ himself would say about Compassion UK in these cases? I regularly receive updates from another organisation my wife supports and the change is visible in the children MONTH on MONTH. They are better dressed, better educated, happy, and yet these were all rescued from terrible circumstances. Their smiles are natural and genuine. Far removed from children I see stood against a tree, or up against a wall looking like they’re about to be shot. * My child was hungry and you did not feed him. * My child was in prison without his mother. You didn’t help. * My child’s mother was very sick and it wasn’t your problem. I urge all supporters of Compassion UK to look past the glossy brochures and the promises, and the heart pull techniques they employ – and assess them. Assess them hard for what they say they do for YOUR child, or children you support, with your hard earned money, or the saving you live on and give up on account of them, and hold them accountable for every penny you sponsor to deliver that which they say they will do. It is their core promise: to raise a child out of poverty. One final point: I visited Mexico two years ago, and notified Compassion UK to see if a visit could be arranged to meet my child there. They were less than a hundred miles away. I traveled over 4,000 miles to get to that point, to that date. I never received a reply from Compassion UK. I never met my child. It probably would have done more to convince me to stay, to see for myself, but it never happened. So, reluctantly, I will have to say goodbye in February 2014 – the same month an automatic levy was set up to take more out of my finance to deliver more of the same. To my kids…. so sorry. Compassion maybe legitimate but I have witnessed first hand their blatant disregard for their sponsors money. Just search social media and you will see trips all over the world. This maybe necessary but the expensive restaurant’s first class hotels and bar bills should be questioned. I found a director at Compassion who complained because they have “status” and could not get the upgraded seat they wanted. Or the executive who uses their frequent flier miles compliments of the folks who sponsor children to buy air line tickets for friends and family. Look at their facilities, nothing wrong with a nice work place but it is obvious they put themselves in front of the children they claim to help. I’ve been happily sponsoring children through Compassion and I can attest to the positive changes I have seen in my children. I think that it is worthwhile. I am not so naive to think that everyone in these organisations is motivated out of selfless motives and I get angry at myself for not holding the leaders of these organisations to a higher standard. Essentially all these organisations are just multinational begging organisations and we , the sponsors, pay the top beggars a lot of money to beg for money from us. These leaders don’t produce anything they simply administer the money that we the sponsors have given and that’s worth up to half a million salary plus perks. I’m so glad I took the link to the latest comment, because (a) it tells of another child’s having been sponsored (thank you, Joyce! ); and (b) coming on today allowed me to read the two comments above Joyce’s. How absolutely precious it is to hear from Dawkins Ochieng and Mworia! We sponsor a young girl and a young man in Kenya, and two girls in Tanzania, so both countries are very close to my heart! Mworia, I will pray that “these few scams,” along with any others that crop up, will be dealt with soon, that the guilty parties will be fired–unless the Lord convicts them in their hearts, bringing true repentence. I will also pray for great wisdom among your Compassion leaders in TZ in handling such matters. God bless you for your work, there! I’m glad I came across this discussion as I decided to sponsor a beautiful girl from India after church on Sunday. She caught my eye because I had recently read a book Behind the Beautiful Forevers about people who live around a sewage lake in Mumbai. I had always wondered about organizations like Compassion and when my horoscope said to do my research regarding financial decisions I found this site. Thank you all I loved reading all your stories, God bless all of you and especially the children……Jesus loves them all. COMPASSION IS REAL. AM BEING SPONSORED BY COMPASSION KENYA.THEY HAVE BEEN SPONSORING ME SINCE 1998,RIGHT NOW,AM IN UNIVERSITY AND COMPASSION STILL SPONSORS ME.AM A PROUD LDP COMPASSION STIDENT. Really, Compassion Internatinal is doing a very good and big job. There are some challenges like ones we experience at our local Church ie Little commitment of the local workers, inadequate education, greedy staffs and untruthworthness to some of them that hinders the achievement targeted by Compassion Office in our Home Country Tanzania! Only after dealing with these few scams, then we will be there, joining hands to congratulate them! I have had the privilege and blessing of visiting 3 different Compassion projects in Ethiopia. On one of those visits, I was able to meet my sponsored child, tour the school he attends, and visit in his home with his family, sharing gifts. He showed me all the things I had mailed to him over the years, keeping it all in a small picture album. In the beginning of my sponsorship, I too had some doubts, but my eyes have seen what Compassion does for these kids, and I am 100% convinced that they are real and striving to honor God is all they do. My heart was convicted and changed, and I will support the work of Compassion for as long as I am able, as I know it pleases our Heavenly Father. Hi this is Trace. I sponsor Josue Pina Garcia of Peru North of Lima. Just wanted to send a hello and God bless message to him and his Garcia family and spirtual family over there. And that we be at peace with unbelievers too. May you all be heathy and prosperous. I’ve been a child sponsor for 30 years. I started sponsoring a child with CCF/Childfund first but after a few years I ‘discovered’ child sponsorship through Compassion. I currently sponsor a lot of kids through Compassion. I love the child focus and Jesus focus of Compassion. I would rate them one of the best Christian sponsorship organizations that I have dealt with. I have had wonderful and not wonderful experiences with other sponsorship organizations but Compassion has been consistently first-rate. I have never doubted my hard-earned money given for child sponsorship was well-spent! This is why after 20y of sponsoring with you, you were not able to follow-up nor contact me on my concerns regarding the child I sponsored (the letter translations became very brief, one of his letters informed me “you do know I am disabled don’t you?” after 10years of sponsoring him…)? 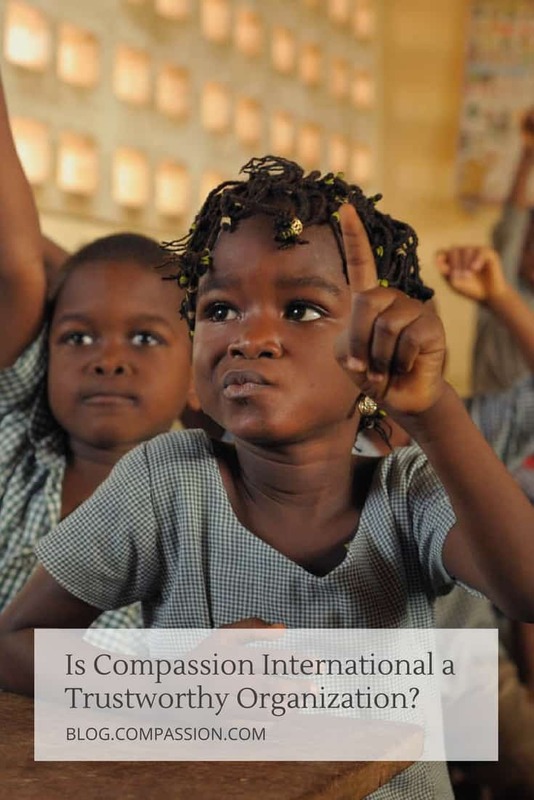 Compassion International received a 4 star rating from Charity Navigator, 10 years in a row. It receives an “A” rating from the American Institute of Philanthropy and is listed as one of their top-rated charities. Compassion is accredited with the Better Business Bureau and meets the 20 standards for charity accountability. As for Givewell, this is a relatively new organization started in 2007 by two 25-year old hedge fund managers. They currently have a full-time staff of four — two hedge-fund managers and two research analysts. The charities they have listed as their “top charities” are both medical in nature — one dealing with malaria in sub-Saharan Africa, another other dealing with parasite infections in sub-Saharan Africa. It seems to me that their evaluation process favors health-related charities because those organizations 1) are able to offer easily-quantifiable results, and 2) their mission fits more firmly under the heading of what Givewell considers “priority” programs. (Their “priority programs” include — condom promotion and distribution, anti-retroviral therapy for people with HIV/AIDS, surgeries for surgery-correctable conditions, mass drug administration to control river blindness, etc.) Those aren’t really things that Compassion specializes in. Overall, I don’t think a Christian-based holistic child development organization would fare well in Givewell’s evaluation process, simply because Compassion deals in outcomes that aren’t easily quantifiable — increasing children’s self-esteem, quality of life, education, stability within the family, overall child safety, protection from abuse/child trafficking/gangs, spiritual development, etc. I did notice that this was brought up by an external reviewer and I’ll be interested to see how Givewell incorporates that feedback into their selection process. To their credit, it appears they are interested in improving their knowledge base and methods. (They have instituted an internal and external review process.) But as one external reviewer pointed out, they have on occasion “misapplied and applied inconsistently” the heuritics they use to judge organizations. In plain English — they have some kinks to work out in their process. And that’s okay. Hats off to them for wanting to apply their unique talents to the giving process. As pastor, I tell my CDSP project director that I hope our project can develop the capability of ministering to at least 30 deaf children through our Compassion program. We are working towards that. or less frequently. If you weren’t getting responses, did you ask the child why? All children are different … but, if you want to know something from them you have to ask them. Or did you try to pass off your responsibility as a sponsor to someone else, which is the impression I got. You do have responsibilities in that relationship … it isn’t just you pay some money, and sit back and get letters to entertain yourself once a month, or whatever. What did you do, or not do here? Or is this a bogus email like I think it is? What did you expect Compassion to say or do when you threatened to quit them? They said “Sorry to lose you, and we will find another sponsor for the child.” What else is there for them to say? Are they going to tell you you can’t quit? Hardly. They can’t force you to stay as a sponsor, besides with the apparent anger in your email they are probably better off without you. If you are in business, either “for profit” or “non-profit” problems are bound to crop up … that is inevitable. They are non-profit … what can they do to fix the problem of you leaving? Beg you to stay? or give you a full refund? Hmmmm, I think I am beginning to get the picture now. I have personally traveled to Sonsonate, El Salvador and met my sponsor child! Compassion International is a legitimate, wonderful organization. I was given a tour of the “project” where my child lives, met many children, heard their stories (they LOVE getting letters from their sponsors). Compassion was transparent – i was able to view kids files where they carefully document correspondence back & forth as well as gifts purchased when sponsors send extra money (ie: birthdays, Christmas, etc.) Compassion is a top-notch organization and I wish I could sponsor more kids! They are positively impacting lives! I have been a sponsor for almost 7 years now. I had some of the same doubts as everyone that has posted. My attitude was oh well, a tax write-off if anything else. All that has changed and I can say this with a little mist in my eyes. I just got back from visiting my sponsored child in Sumatra, Indonesia. I visited her home, I saw here church (compassion partner), I met over 30 Compassion children, my daughters played with my sponsored child’s sisters (all girls what a drama!). I even went back for a second visit the next day. When i visited their home my family picture, the only picture we ever sent almost 4 years ago was hanging on their wall. They told me they pray several times a week and thank God for our support. After seeing all this I believe them. The Birthday gift I usually send around my sponsored child’s birthday always arrives very late! But you would not believe the difference it makes when the Child has so little. There is little work in that area so the father must live apart from the family for a year and back home for only a couple of weeks at a time! The most shocking thing was the amount of sponsors that have visited that site. Zero! 21 years that Compassion has partnered with that Church I was the first sponsor to visit that site. I was so shocked I didn’t believe. I played dumb, asked the same question to other Compassion staff, I quizzed the teen children and none had ever seen their sponsor or the sponsor of any other Compassion child. It was true. All true. A little insight for the disbelievers of Compassion. They are real and at least they are working hard todo as much as possible for that $38/month. The children are real. While we in the US might go several months without thinking of the Child outside that monthly credit card charge and thank Uncle Sam for the tax write-off but those children and their families are playing to God, speaking your name, thanking God for you, calling you mommy and/or daddy. Compassion only has about 7-10% more children than there are sponsors. Simple math, more sponsors = more children let into the program. I feel ashamed to have thought of my sponsored child as a tax write-off, to have ignored 2 out of 3 of her letters, and have rarely thought of her, and to have been ignorant enough to have thought $38 was all the Child needs! Let me explain something about the monthly. It only covers some of the child’s expenses. I am sure each location is a little different but my $38 goes pretty much for school expenses and Compassion sponsored activities. Nope, those public school fees are paid by the parents (not like the property taxes we have in the us) and compassion only reimburses the family once the fees are paid. Compassion makes sure the money is properly spent by the parents by not just giving the parents pure cash. It broke my heart to have thought $38 covered my sponsored child’s school, food, clothing, and medical? Compassion does a lot but they aren’t miracle workers. They expect the parents to make efforts too, not just sit at home and dream of a better life. Compassion, yes they are a company with human flaws like any other company, but they are doing a great job with my measly $38/month. Compassion International is a very large company. They have strict guidelines on what they can and cannot do. They are closely monitored by governments, religious organizations, and by us pessimistic sponsors. Their ratio of donated $ to direct child support has as little overhead as possible. The local Christian Churches are partnered with Compassion and most of the monitoring and supervision is done through the Priest and a couple of local Compassion employees. After this trip I understand so much more than the ignorant, untrusting sponsor I once was. I will be looking to sponsor an additional 2 children from that local Compassion field office/site. Of course, one of those children will be the youngest sister of my currently sponsored child. Sponsor a child. You will be doing more good than you know. If you are pessimistic like me, visit that child when he/she turns a teen and see you your own 2 eyes like we did what that money has accomplished. My heart goes out to the work Compassion does. To some people 38 dollars is not a small amount. When Compassion is trying to get people to sign up and sponsor a child, they say here is what 38 dollars a month will do. I have no idea what 38 dollars a month can do in India. For some people it is nothing to give 38 a month and for others it could be a sacrifice.Everyone has a specific situation. My husband needs a double transplant and medical expenses are crazy! I know you are speaking from your situation but not everyone has a lot of money. Erik, that is an incredible testimony. Thank you SO much for taking the time to share it. Even for a long-term sponsor like me, who is 110% committed to Compassion, what you said really made an impact. I am a beneficiary of Compassion International and I categorically believe its not a sham as my sponsor paid for my education right from secondary school through college.I am now working and am preparing to sponsor a child myself to give back to the society. I had to sit down and share something with all of you … two years ago I decided to sponsor a beautiful little girl in Honduras, who was then 8 years old. After exchanging a couple of letters I noticed something … she never failed to thank me for sponsoring her, and she always asked me to pray for her, and her family, and her country. I told her in one of my responses that for her to get the best education would open up a very difficult world for her to be and do anything that God led her to do. She never forgot that, and last month in her letter to me she reminded me of my advice to her … sheto me then “I feel such a priviledged girl to have someone who loves me and took me into your life and helps me … you told me you would be proud of me if I got a good education. I am doing that, and I will never let you down” … let me ask you how many times do yoou need a child to say that to you before you actually get the message! I know they do some coaching with the little ones to thank you, etc … but, that is okay. If you’re gonna coach someone on anything let it be gratitude! My sponsored little girl loves Jesus, and her family, and me! Oh my gosh, what else is there in life? I’ve been to Colombia, and have seen the work that Compassion is doing with my very own eyes. I have no doubts that Compassion is trust worthy. Hi everyone, I am a person who accepted Jesus Christ as my Lord and Savior on Easter Sunday 2009 In Aug. of 2009 I was trying to find a Bible verse online when I saw an ad for Compassion International so I click on the ad began reading about Compassion International and how they help children in other countries with the problems of living in poverty. I said to myself this can’t be true so I decided to call them and find out where the money is really going and how are they helping these children. I called Compassion International for three days straight asking question after question, spending hours on the internet trying to find some wrong doing with Compassion International and counldn’t find anything only being a person who had only been saved for 5 months. I talked with my men’s small group who asked me have I prayed to God for answers regarding this matter. I had not done so that night I prayed to God for help. I woke up the next day with so much love and concern for the children living in poverty I immediately went online and I sign up to sponsor Juana from Honduras in Aug. 2009. In March 2010 we also sponsor Daniela from Ecuador. I have received the most precious gift children can share with others and that gift is LOVE!! I have received pictures, letters, and drawings from the girls telling me that they pray for me and the family also they’re both praying that one day I will be able to visit them. I encourage those who don’t believe or want to find out about Compassion International please keep calling them asking all the entire questions you need to have your hearts filled with the love for others who live in poverty just remember to pray and ask God for help with your decision to help others who live in poverty. Today God has blessed me with the courage and a heart to become a child advocate for Compassion International. God’s love is Extravagant Compassion International is know doubt !! releasing children from poverty in the name of Jesus Christ. Michael, you do sound like a child advocate! Good move! All of the proof I could ever need is in the letters and photographs of my little girl, Ludis. She went from a scrawny, sad faced little one……… to a healthy, grinny little young lady. Also, when I started sponsoring her, she was 9 and 1/2 years old. She wasn’t in school…… One and 1/2 years later? She wrote me her first letter without any help in January!!!! I cried. I have a scrapbook I keep with all of her letters and photos in it. Whenever I doubt that I can make an impact upon the world, I pick it up……. I just read your post from 2010….what I wouldn’t give to go back to that time when everything was working smoothly and I was still receiving letters from Gadiel and I felt like I KNEW him. Things have changed so much in six years. I’ve sent 11 letters this past year and received 2 from Gadiel. I used to hear from him every month or so. Still haven’t received word on the $500 that we sent to his project….and it’s been 11 months and 2 inquiries with no word. Have no idea what it was used for or if they even received it. Heart is broken over all this. I miss Gadiel. Hi Marci! I am so sorry that the changes Compassion has gone through over the last few years have been so disappointing for you :(. You might want to check out our other blog post that helps explain why you may not have been hearing from Gadiel as often as you had been. I know you miss him, as I feel the same way about my girls in Bolivia, but the good news is that Gadiel is still writing to you. I can see a few different letters in the system that we are working to process for you as fast as we can. I am hoping that as we are able to clear up the issues with this system and get back on track with processing the letters, you will continue to hear from Gadiel as often as you used to. Your sweet boy certainly loves you! We actually just received the letter and photo back from the country office in Bolivia regarding the $500 gift you sent to his project :). I am going to email it to you right now! Your gift was such a blessing to his project, and I cannot wait for you to hear just how grateful they are for you! My name is Danielle and I am 20 years old. and I felt God pulling my heart to give my testimony. I have been the sponsor of a Iddi Seleman since 2006. In my junior year of high school, I went to 722 in Atlanta and Lewi Giggleo gave his testimony and recommendation of Compassion and outside the conference hall I became a sponsor. I have cherished all my letters, drawings, prayers and every connection I have had with Iddi these past few years. However, giving money to a organization can bring worries and doubts like “Is all my money really going to my sponsor child?” and “Is this organization honest about what they are telling me?” “Is this making a difference?” To do something like this takes a step of faith and giving your money into God’s hands and letting Him take care of our worries. I have not had a chance to visit Iddi in Tanzania but my heart so desires it. However, I have had the awesome blessing to visit Kenya twice in the past two years on a mission trip in Nakuru. I returned June 19th with a gift of reassurance from God. In Kenya, I visited a host family from P.C.E A Nakuru West church family. I was welcomed into the home of Samuel Kimani and his wife Tenesia and their 2 year old son, Philip. After dinner and an hour of talking, I discovered Samuel was a nurse for a Compassion center right there in Nakuru. He went on and on excitingly about all the miracles God delivers through that center and does for the children. He told me that the head office of Compassion in Kenya was ran by the very men and women that were once sponsor children themselves. In my heart after hearing a native worker right from within the center talk about the organization with such passion, I wanted to give my recommendation and my witness story that Compassion International is an awesome program to join in on and be a part of. Thank you Compassion for following the walk of God. Gioto- (means really hot place “Hell”) a dump city in Nakuru where the people sometimes won’t speak it’s name because it is a dangerous place of no hope and it is where you go when you have no where else to go. Samuel told me that Compassion has been able to reach and get children from here just recently and the number keep pouring in since then. One of the websites I use to check out a charity is http://www.ministrywatch.com. 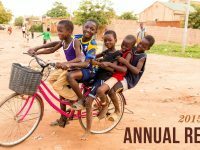 I am pleased and thankful to see Compassion International on their “30 Shining Light Ministries” list each year. Actually Compassion only has a 3 out of 5 star rating from ministry watch. I just checked the site. You’re both right. Compassion International is one of Ministry Watch’s “30 Shining Light Ministries” judged on the following criteria. I am disappointed to know that you can’t do paperless statements. While the rest of the world seems able to you have to be wasting valuable dollars that could be going to the children. I have been asked twice to up my giving. I feel that until I see Compassion International take this step, I will hold my giving as it is. I agree they could be more resourceful by doing paperless statements, but that’s almost like saying you won’t tithe at church because the church spends money on the bulletins that they hand out, or on the coffee they offer….? I have gone on a Compassion sponsorship trip and seen my child and the work Compassion does. The teachers, the kids, the families – they are real. The Compassion kids we visited would always bring out their sponsor letters. They are so excited to get letters from their sponsors – the letters are precious to them. I, for one, am always excited to get mail from my child, too, and try to write back. The kids are so precious and so thankful.